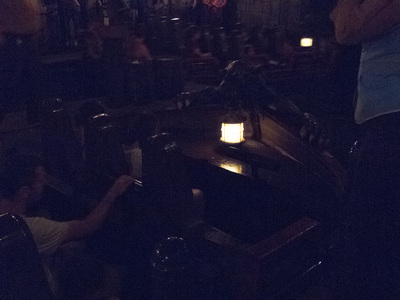 “I will sail, even if I have to sail to Judgment Day.” The mysterious Flying Dutchman is cursed and has been turned into a ghost ship. 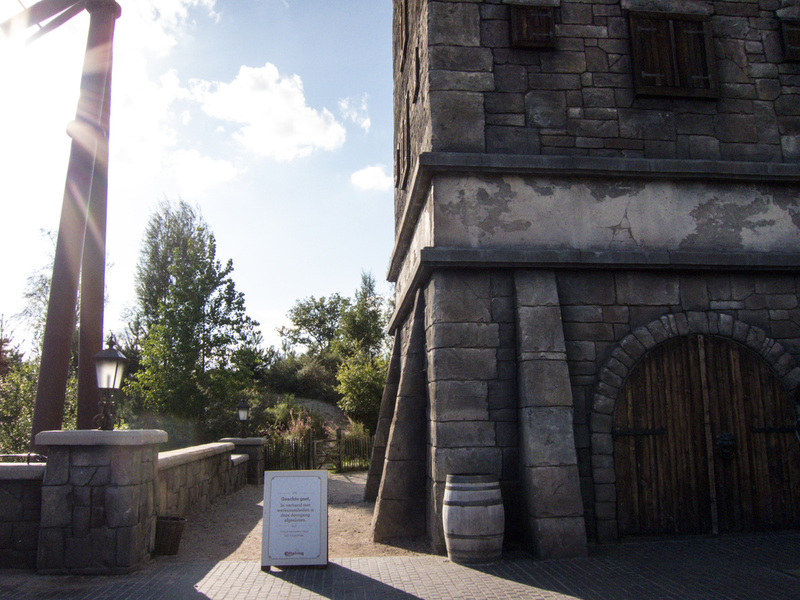 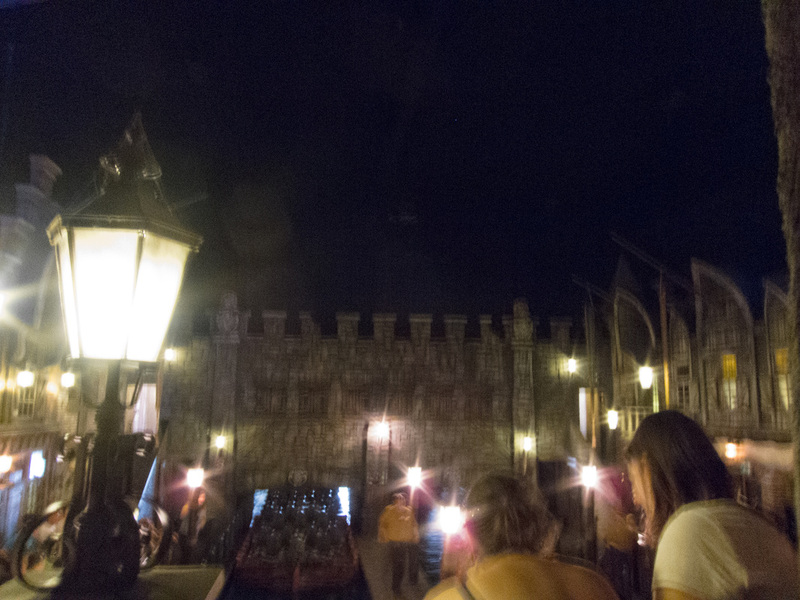 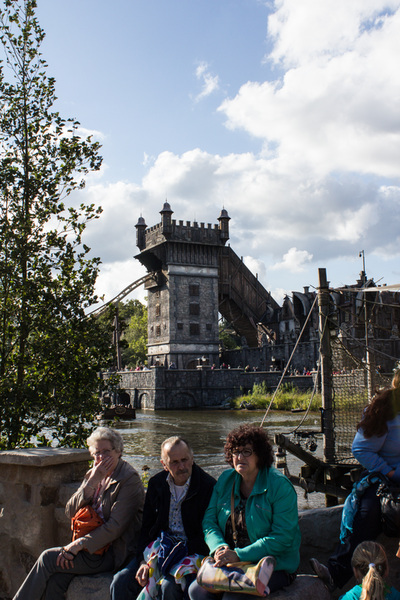 Your journey will start in a magnificent castle on the quayside. 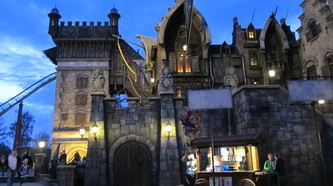 However, it won’t take you long to realise that it’s not a fairytale castle at all. 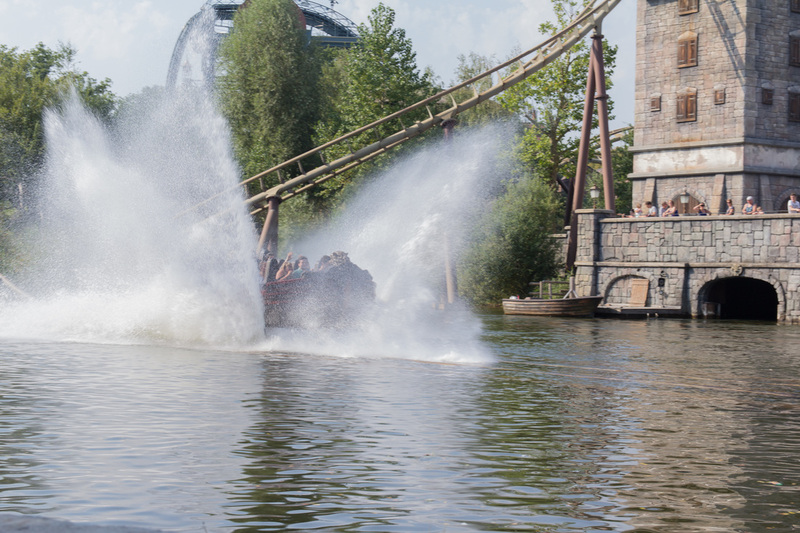 You’ll have to hold your breath when a huge wave lifts the ship into the air… You’ll be able to sense that something is not quite.... wait a moment….. and then, SPLASH!! 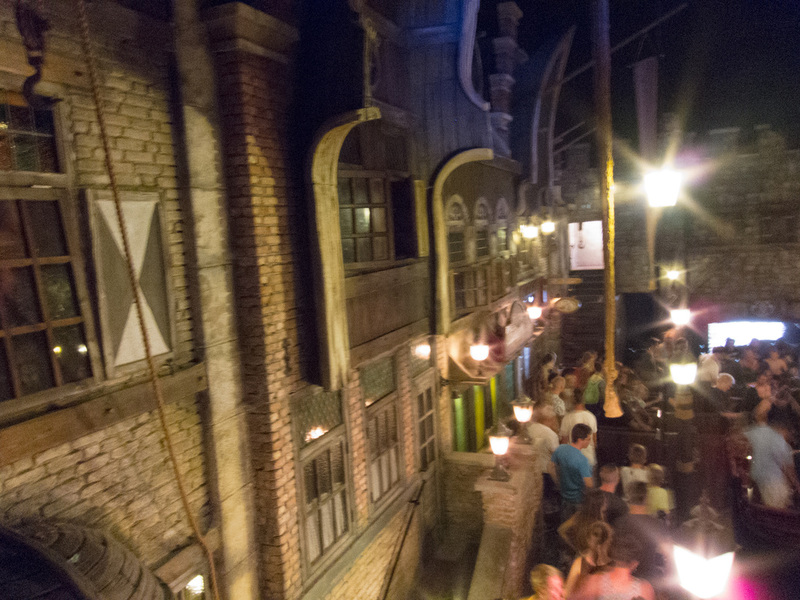 The only way to escape the curse of the mysterious Flying Dutchman is by moving at ghostly speed with butterflies in your stomach! Be prepared to get a little wet! 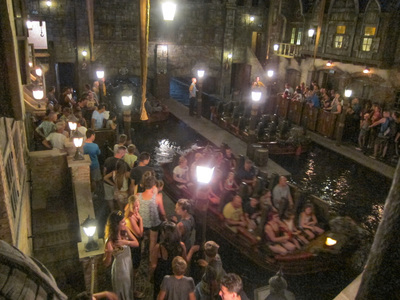 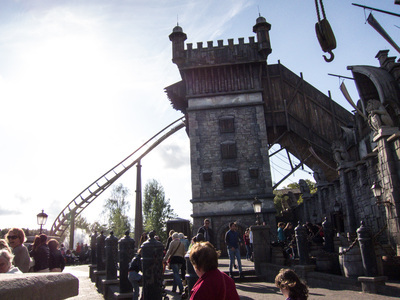 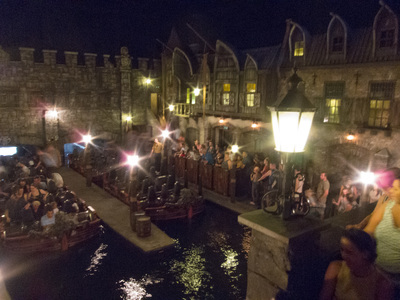 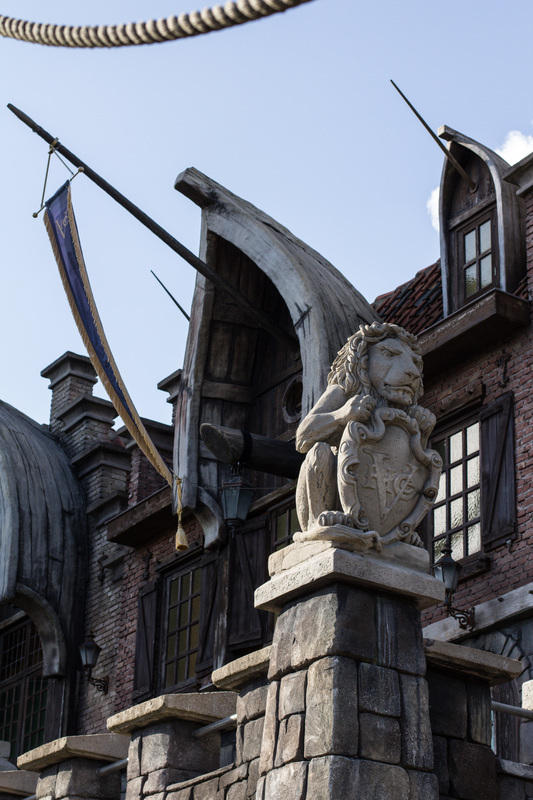 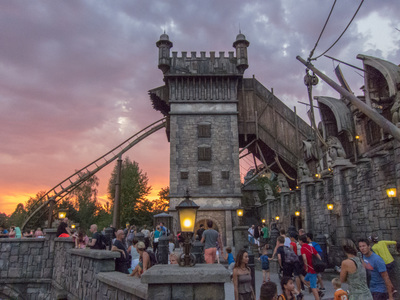 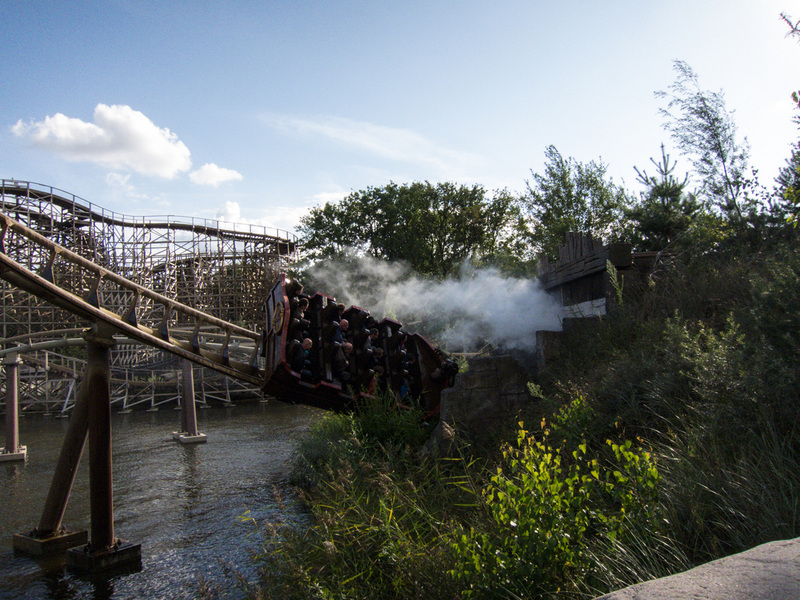 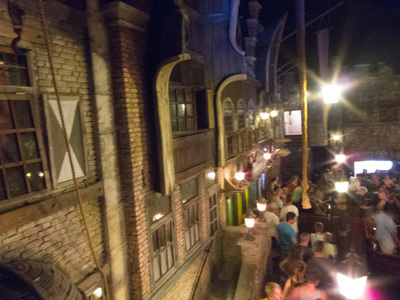 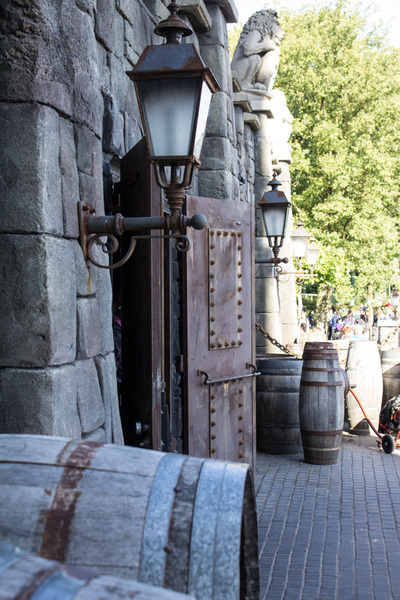 This attraction is based on the story of the Flying Dutchman about Willem van der Decken, captain of the Den Hollander, one of the ships that belonged to the VOC [Dutch East India Company]. Willem van der Decken was a man who broke all the rules in the book, defied common decency and dared to brave the elements. 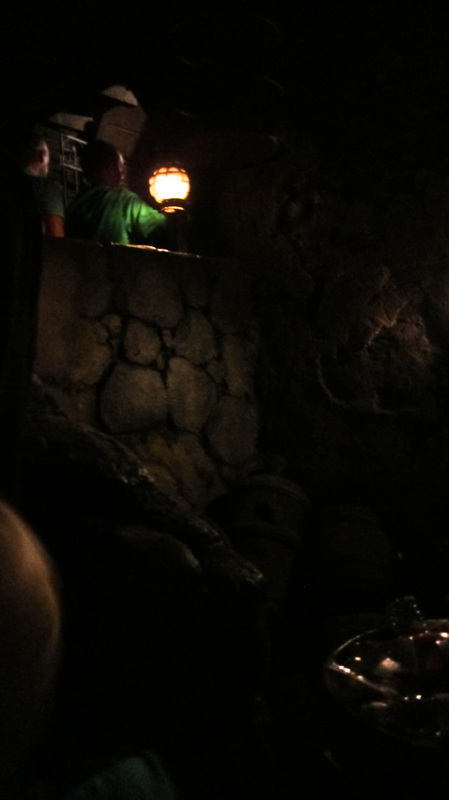 It was this that caused him to seal his own fate when his ship was turned into a mysterious, fiery ghost ship. The ship was doomed to sail the seven seas forever and became known as the Flying Dutchman (De Vliegende Hollander). With 11 sloops that can carry up to 14 people each, the ship can handle approximately 1,900 people an hour and the ride takes 3.43 minutes. 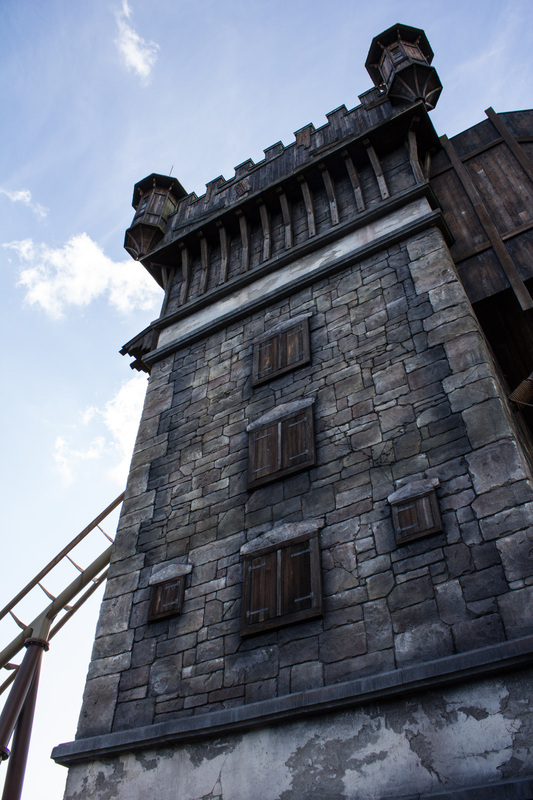 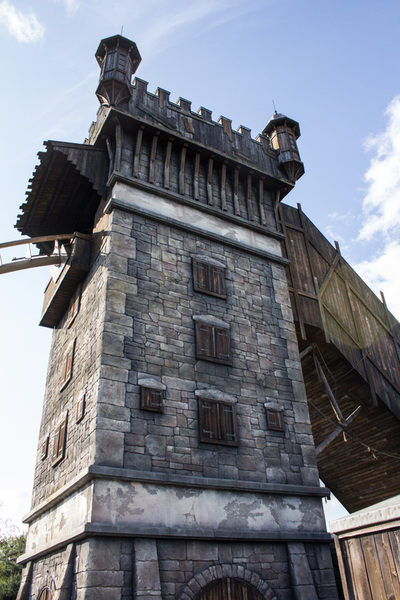 The tower is no less than 22.5 metres tall and has a 45° tilt! 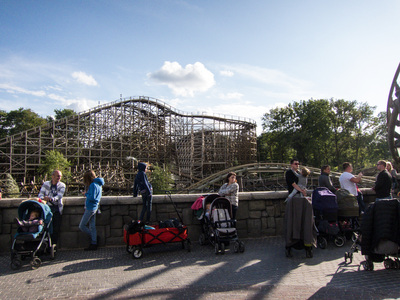 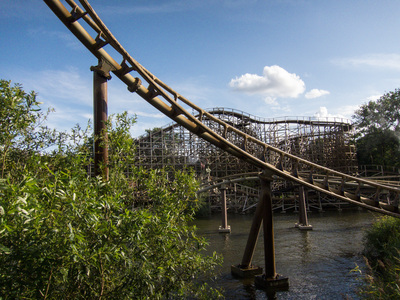 The total surface area amounts to 17,000 m2 and the length of the coaster across which you are hurled at a speed of over 70 kilometres an hours, is 420 metres. 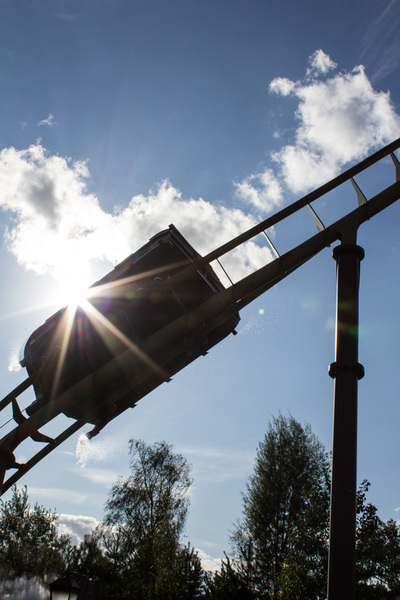 Passengers are exposed to G forces during the ride of up to a maximum of 2G (twice your own body weight) and a minimum of 0.2G (close to weightlessness). 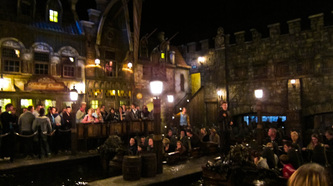 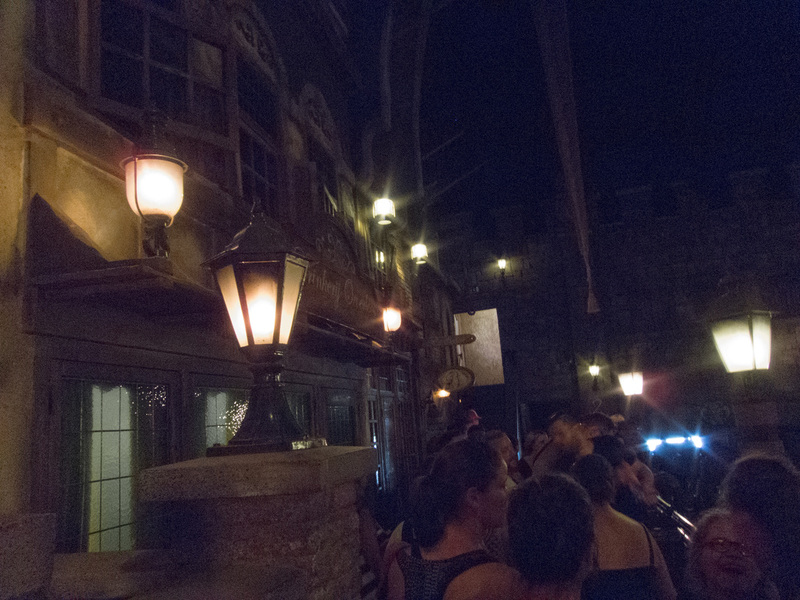 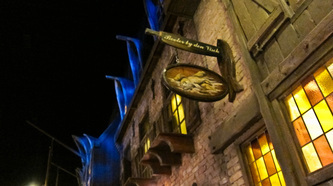 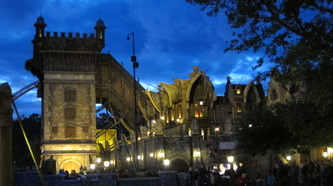 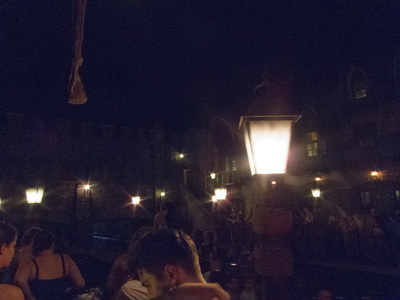 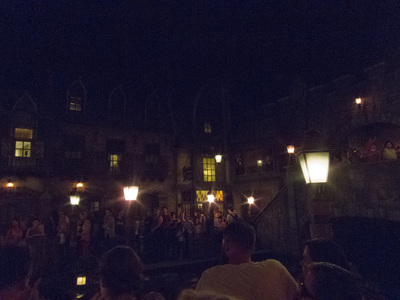 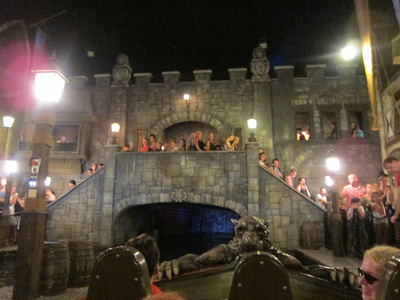 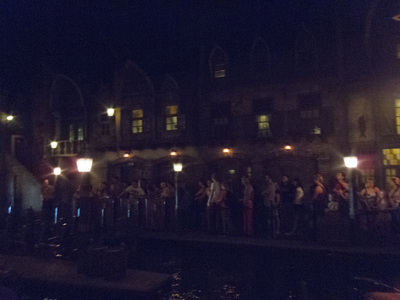 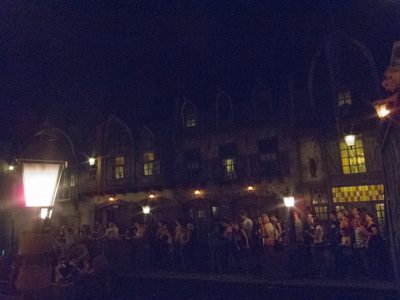 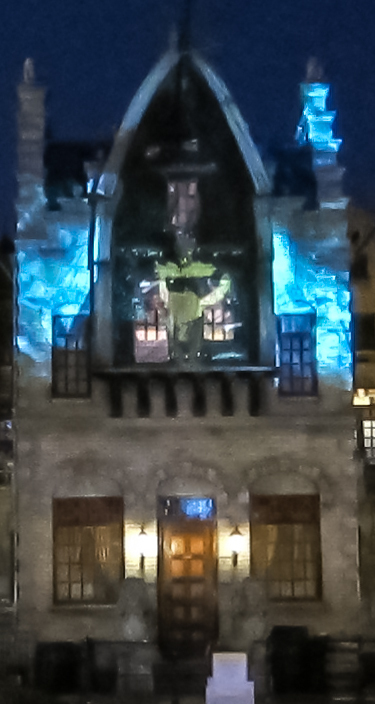 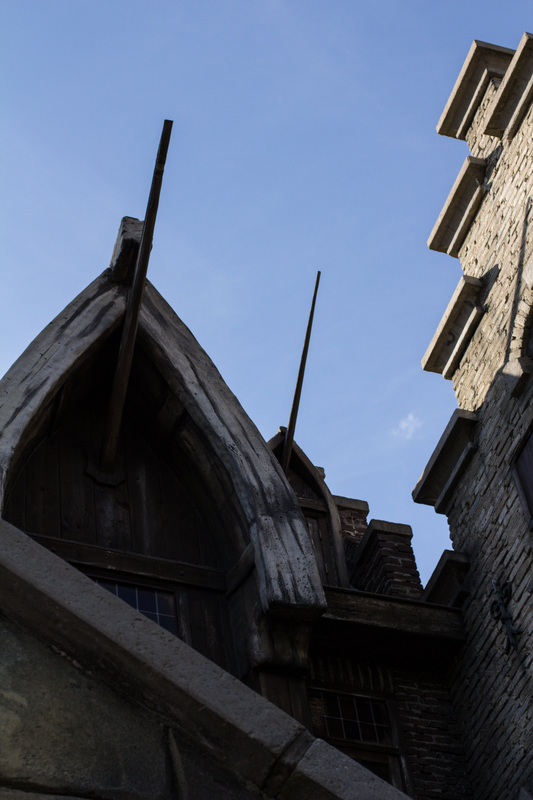 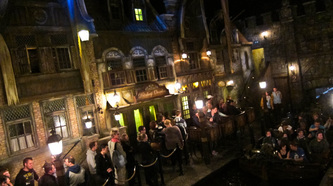 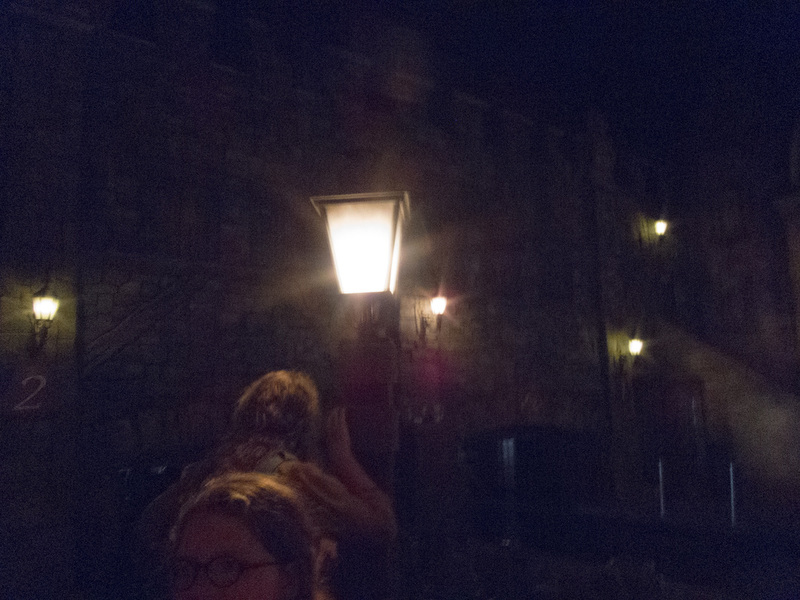 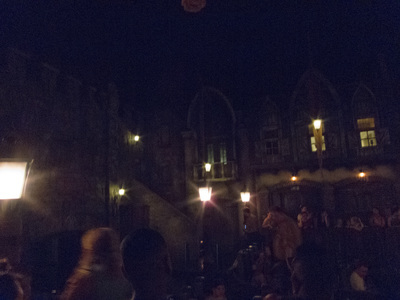 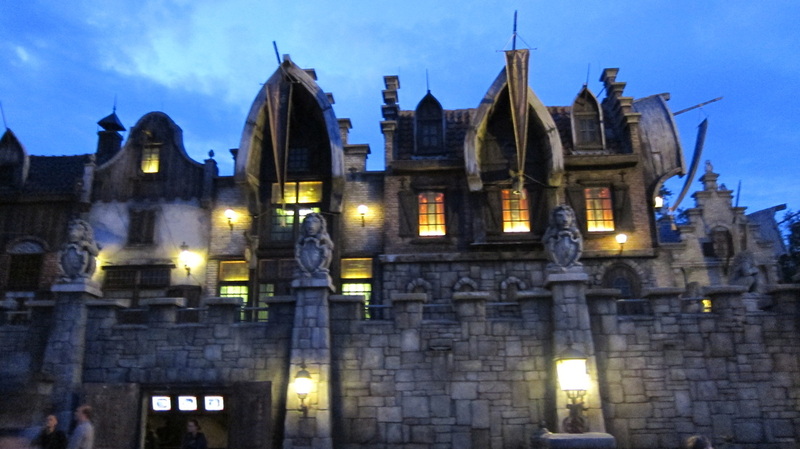 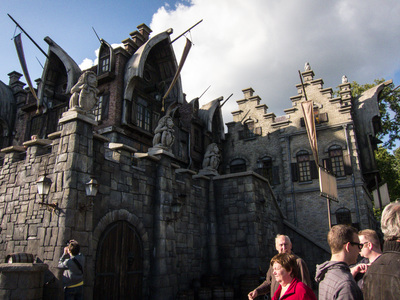 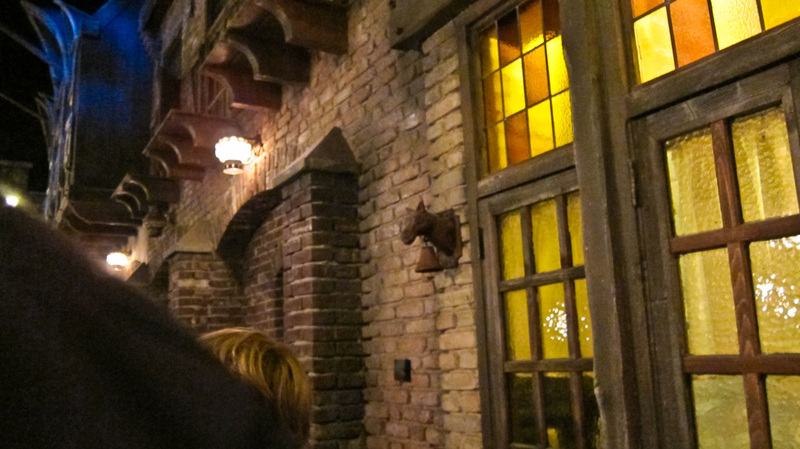 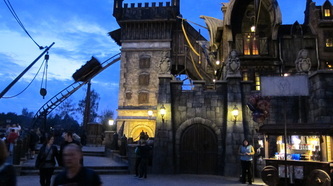 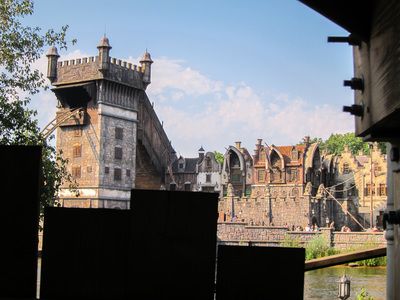 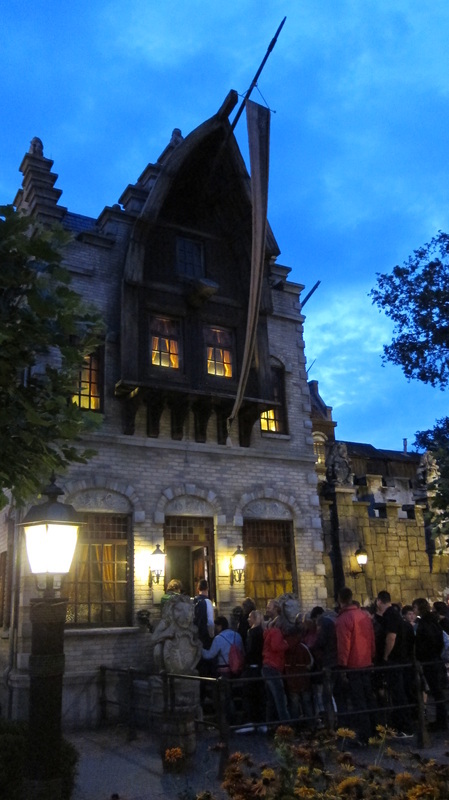 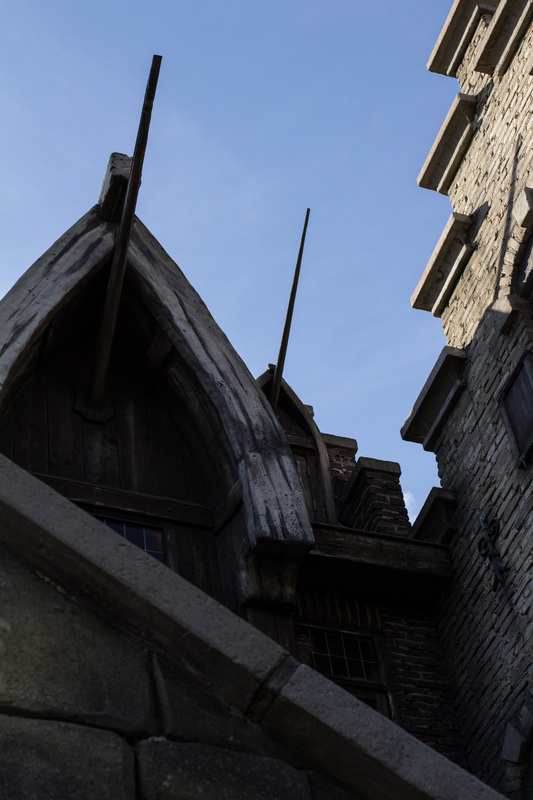 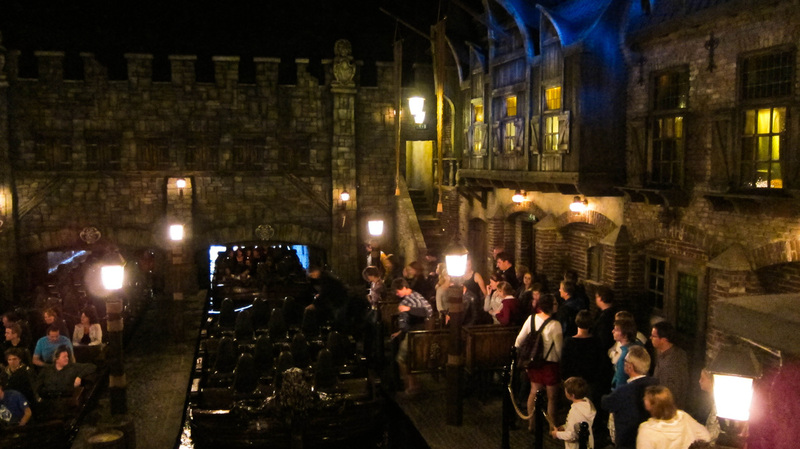 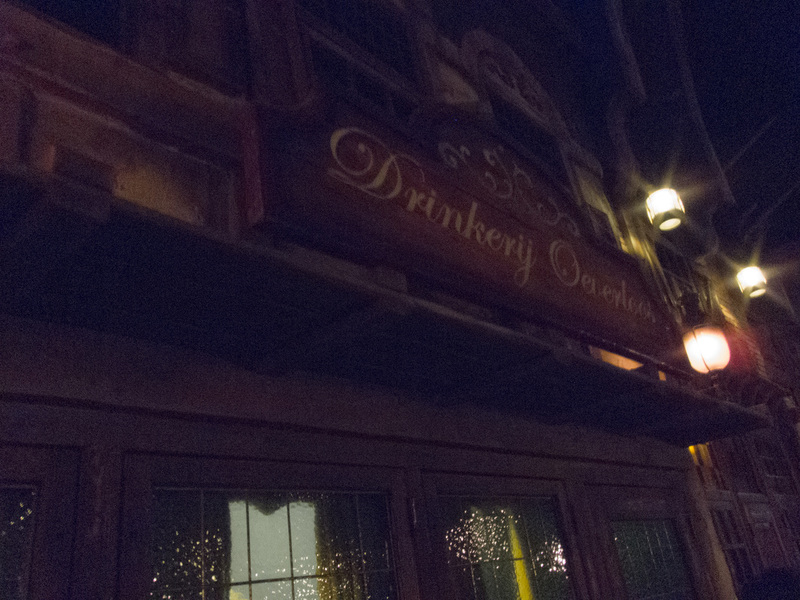 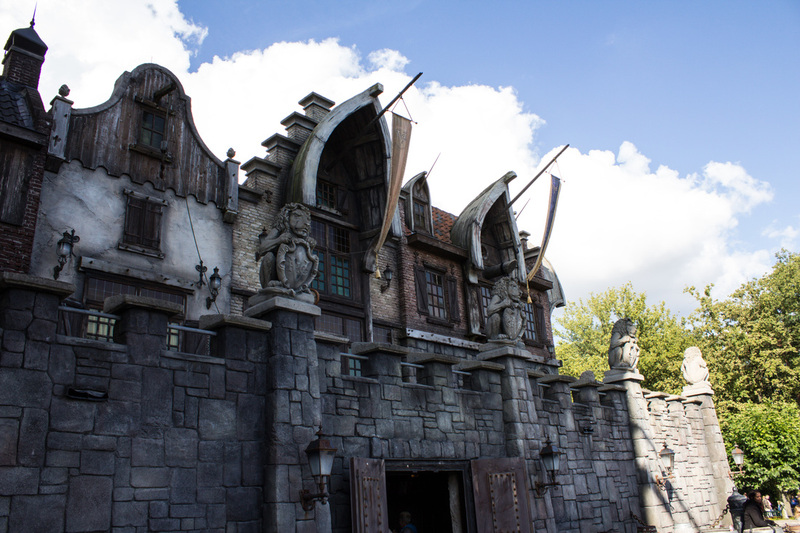 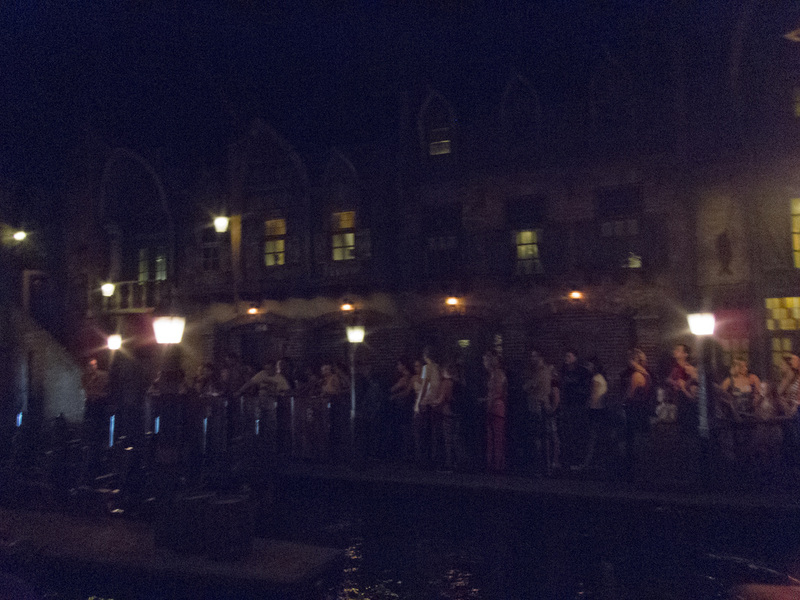 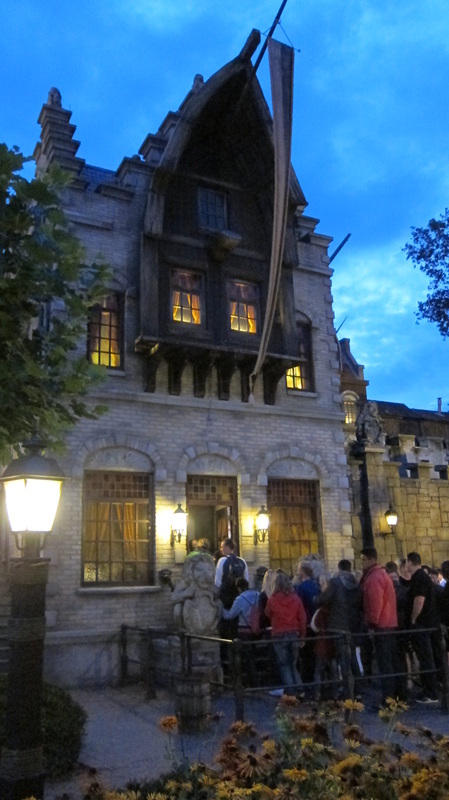 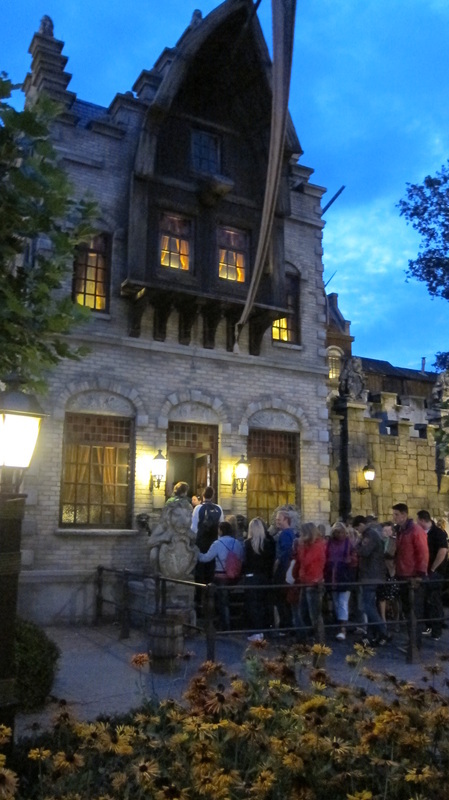 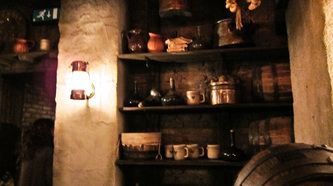 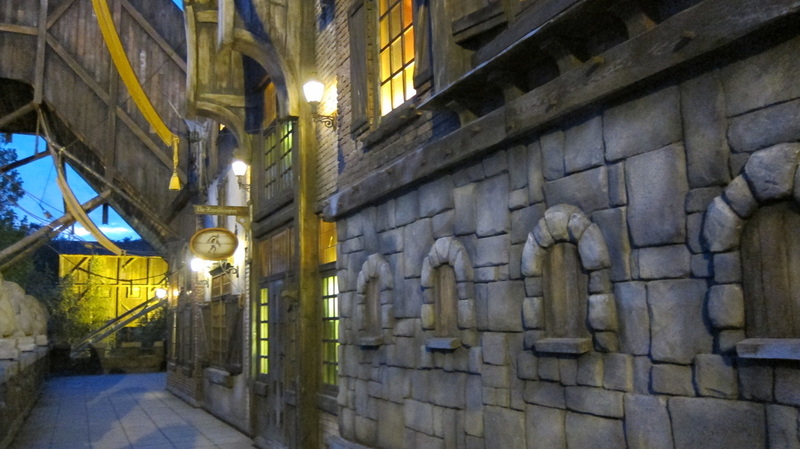 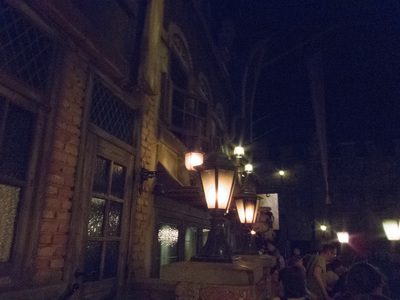 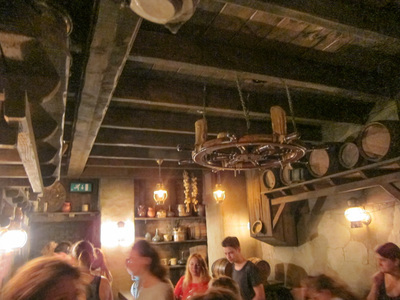 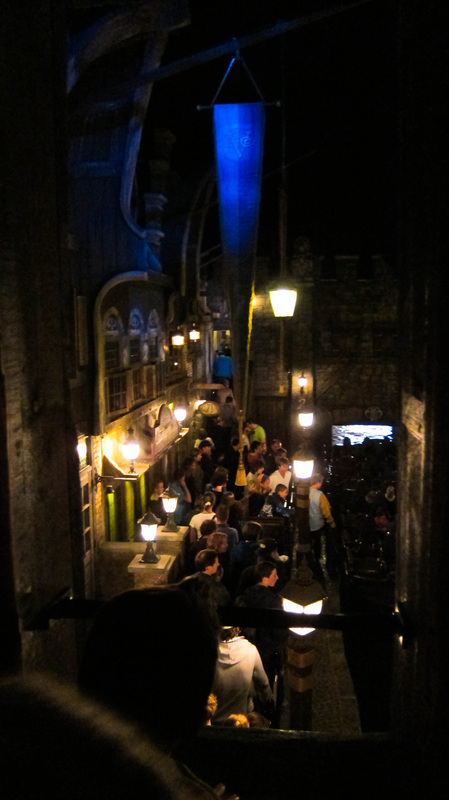 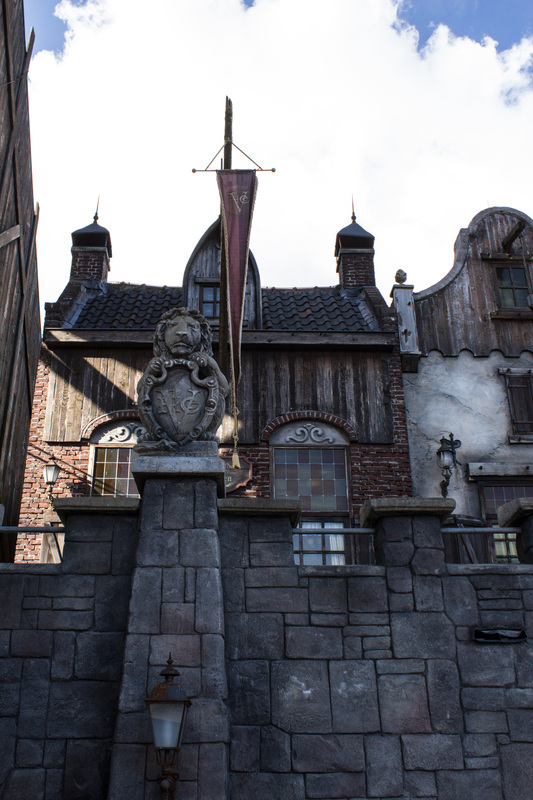 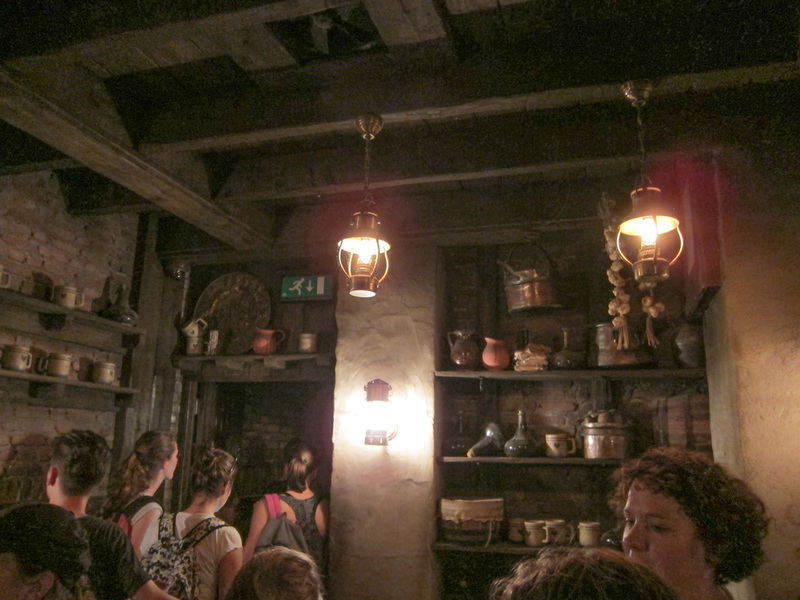 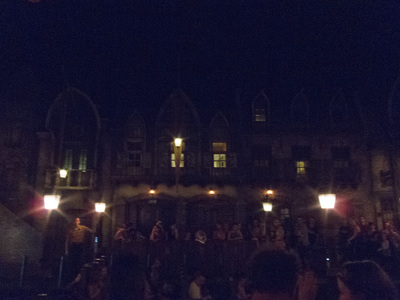 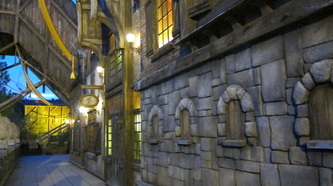 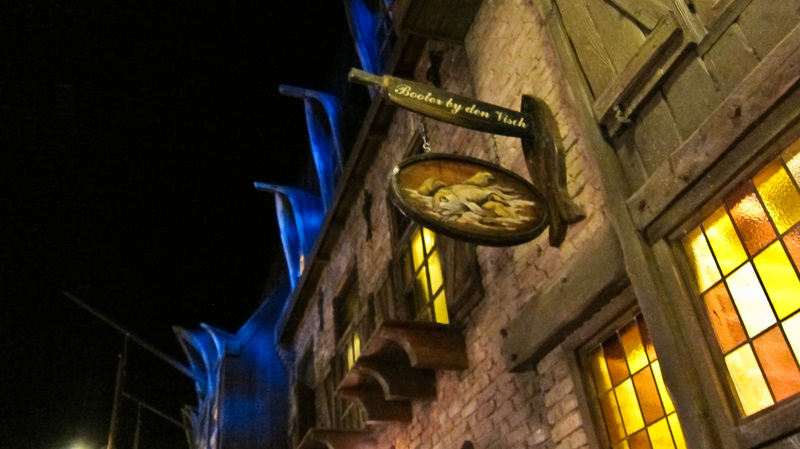 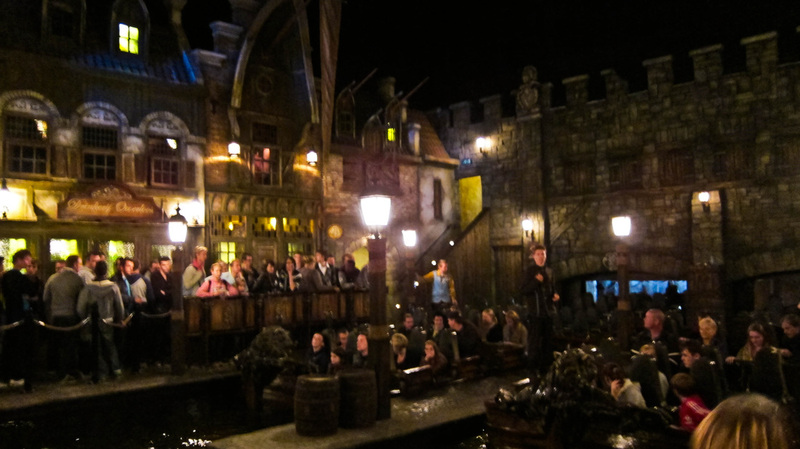 The house of van der Decken is part of the scenery for the queue line. 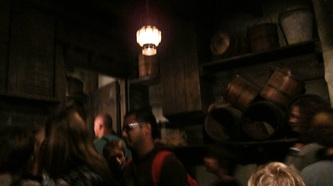 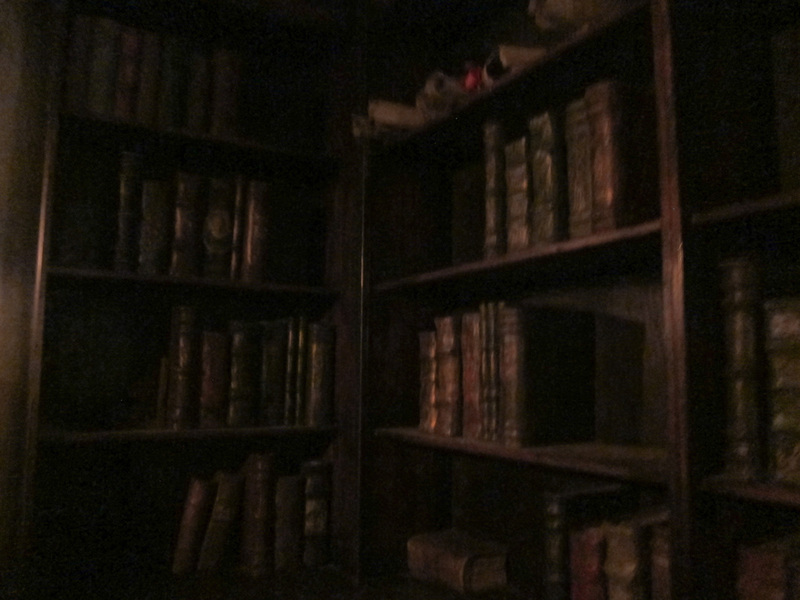 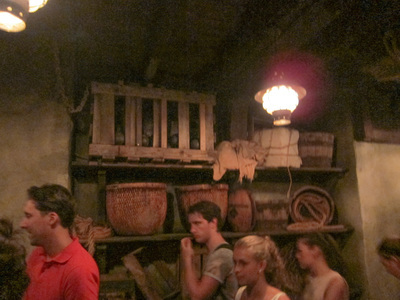 After walking through this abandoned house the queue continues down into so-called 'smugglers' tunnels', where van der Decken's treasure can be seen hidden behind a small door. 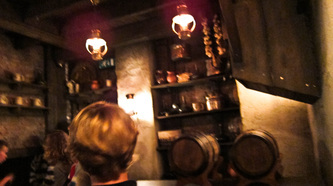 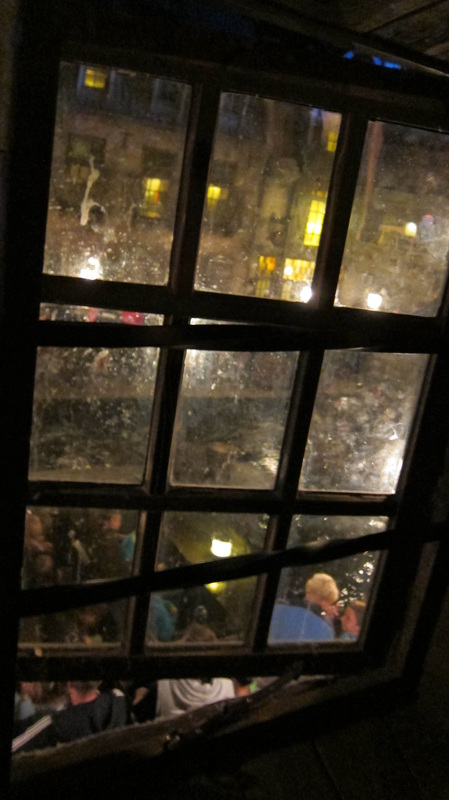 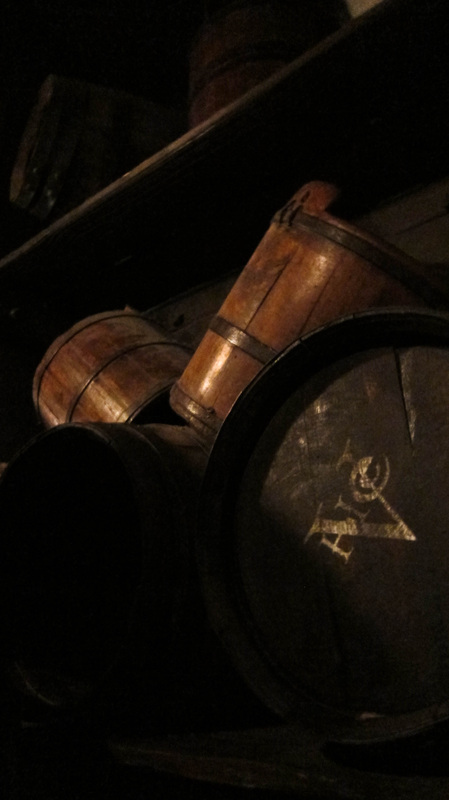 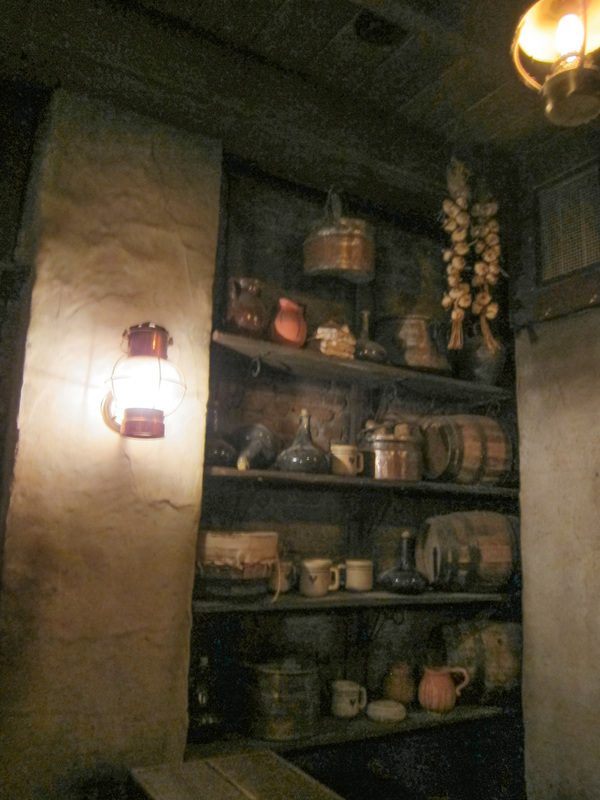 The tunnel ends in the cellar of a pub in 17th century style. In the harbor, under a dark clouded sky the coaster ride begins. The 14- person barge goes into open sea where it meets a holographic ghost ship, the Flying Dutchman, and dives under its bow into the Underworld. The barge is then towed to a height of 22,5 meters. 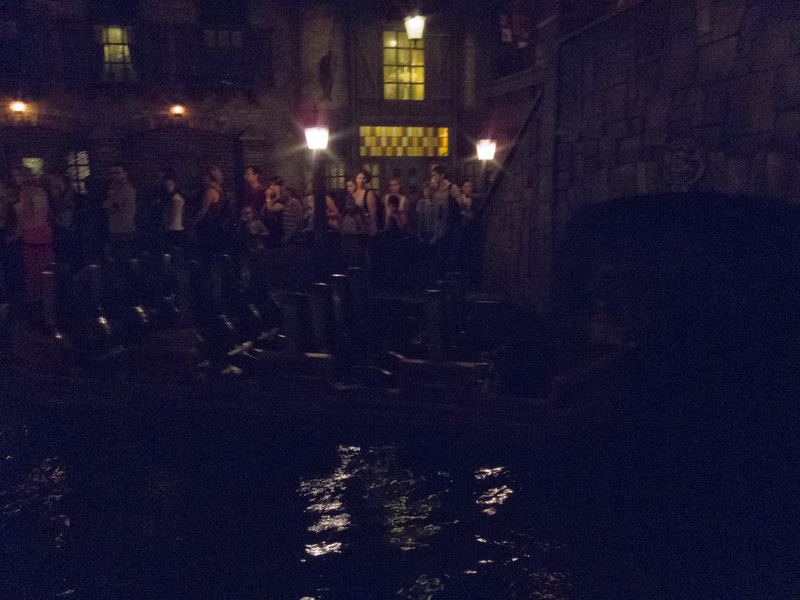 Here, it halts, and a ghostly voice is heard stating: "You shall sail into eternity!" 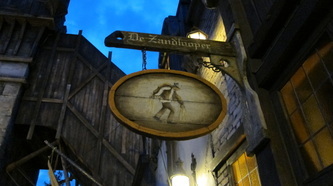 (Old Dutch: "Gij zult vaeren, tot het einde der tijden!") 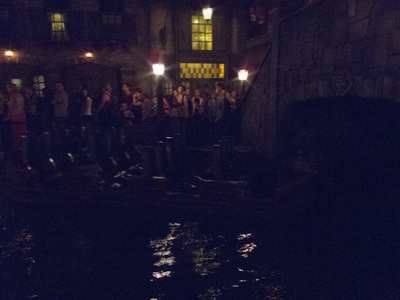 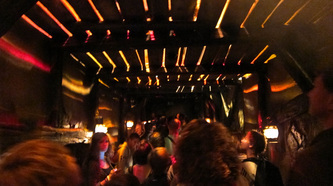 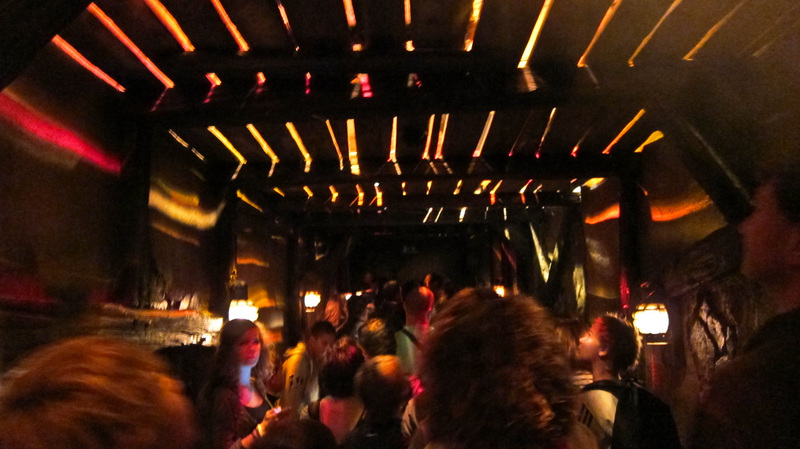 Doors open and the barge shoots in a curved declination through a tunnel. 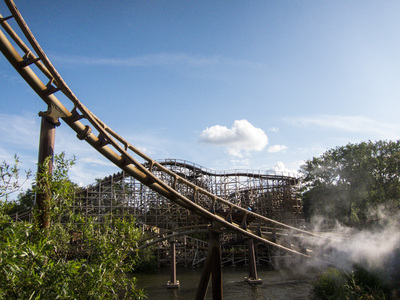 After this some airtime in a bunnyhop and a 85 degree horseshoe. 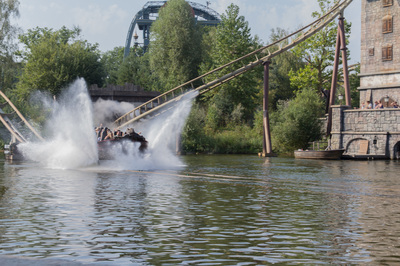 A steep fall and a left curve bring the barge back into the water. 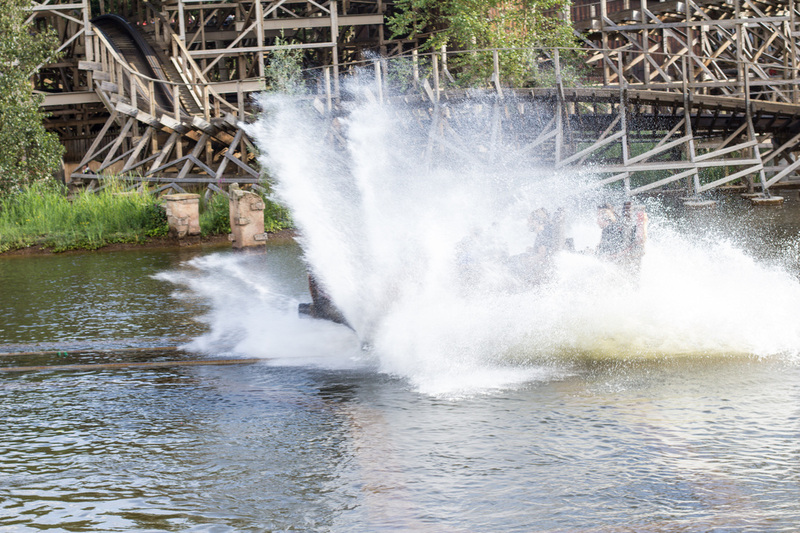 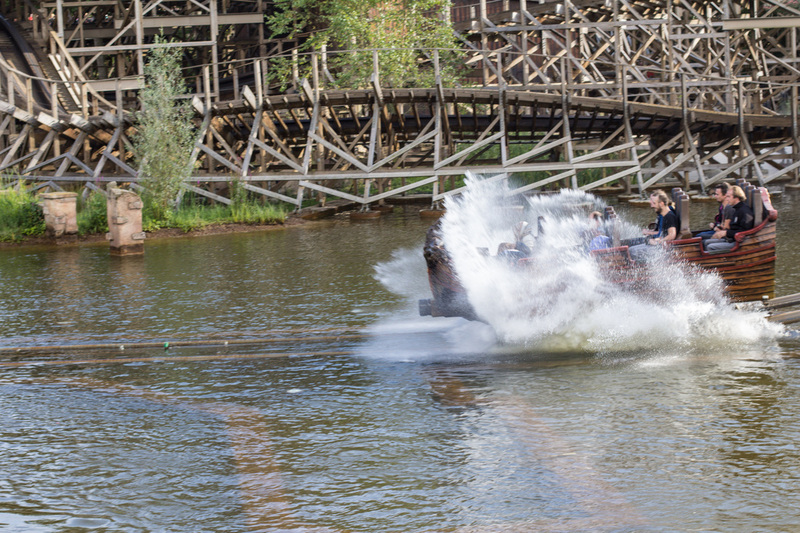 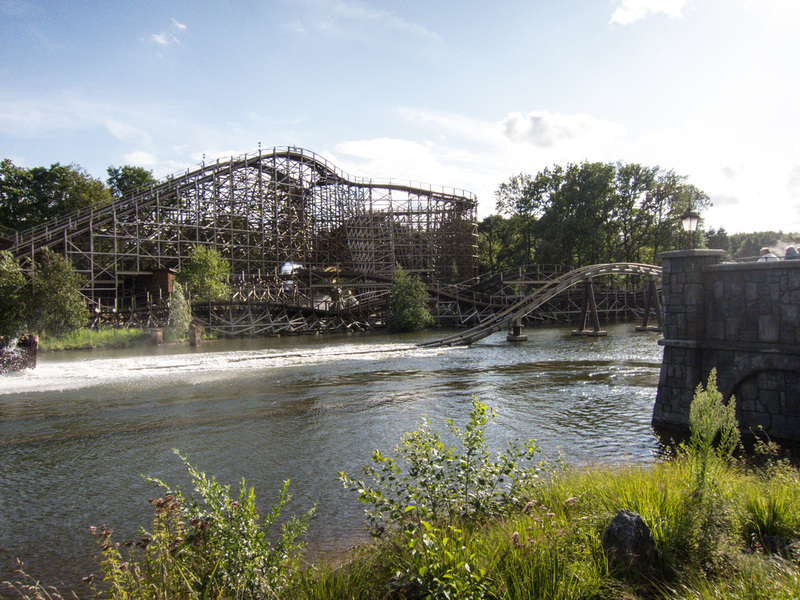 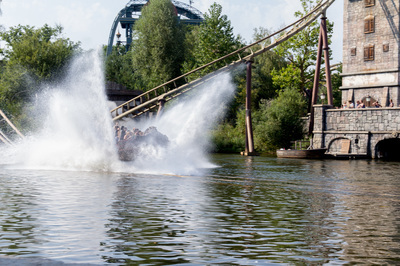 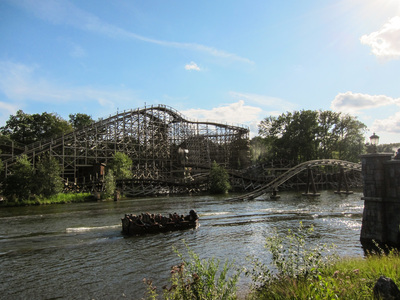 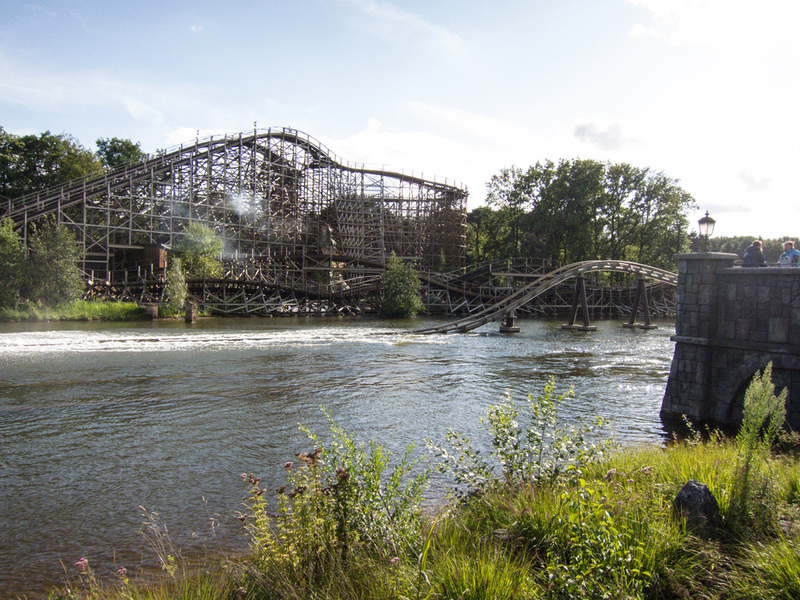 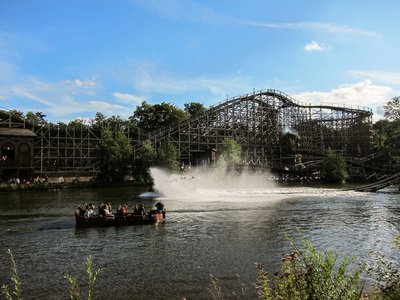 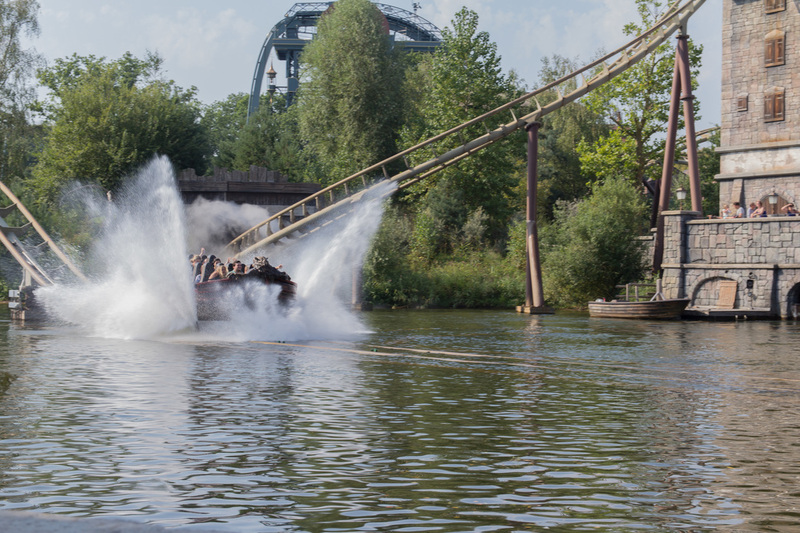 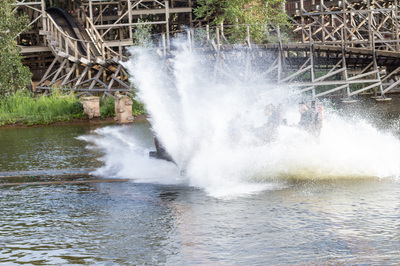 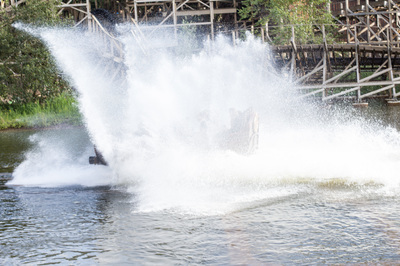 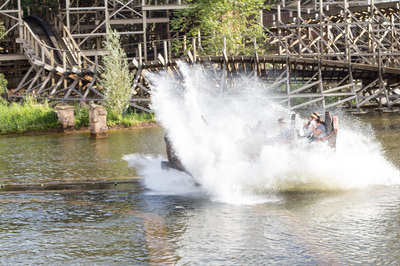 A special technique allows for variation in the size of the “splash”, thus preparing the ride for winter opening . 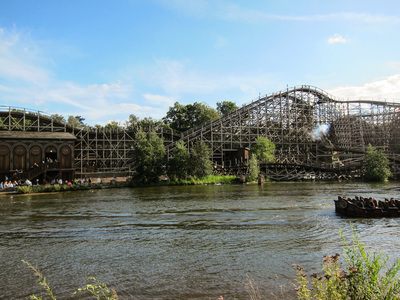 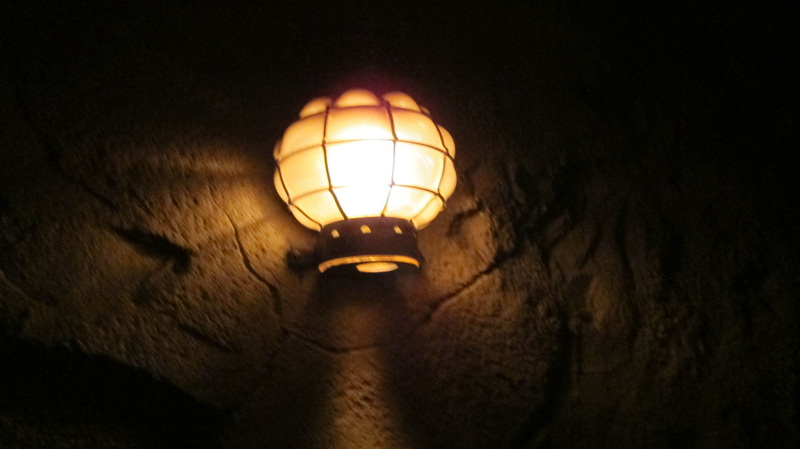 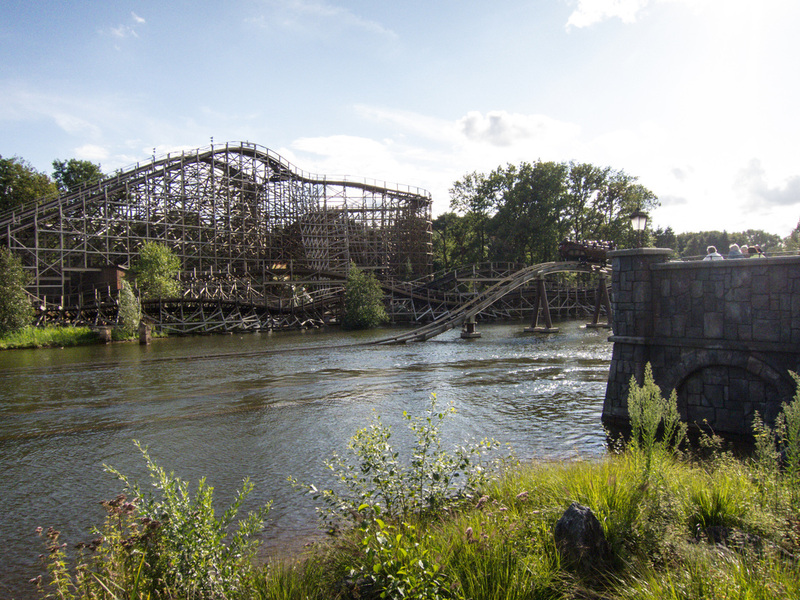 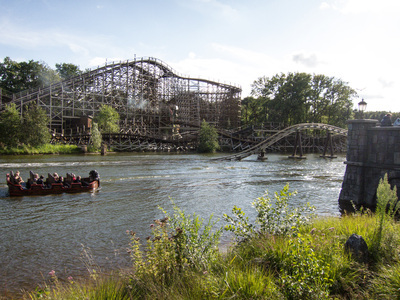 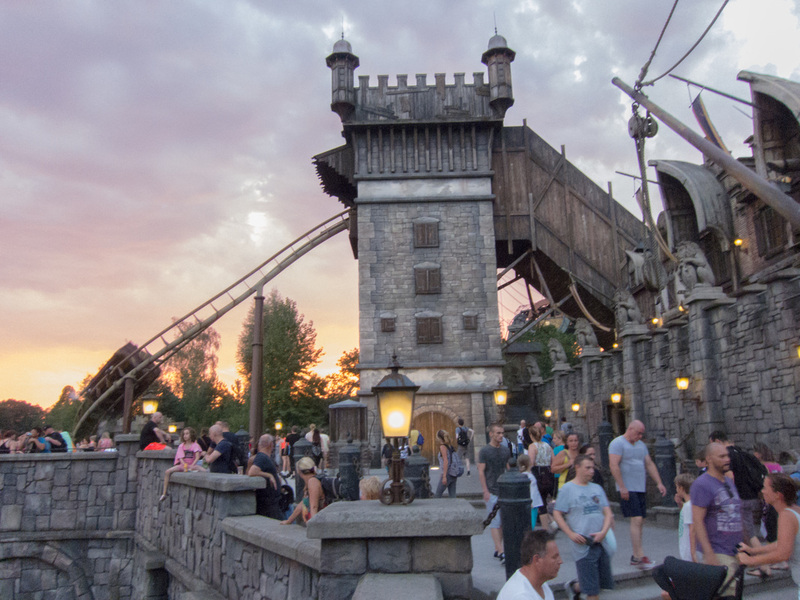 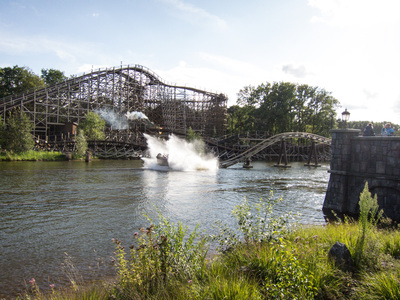 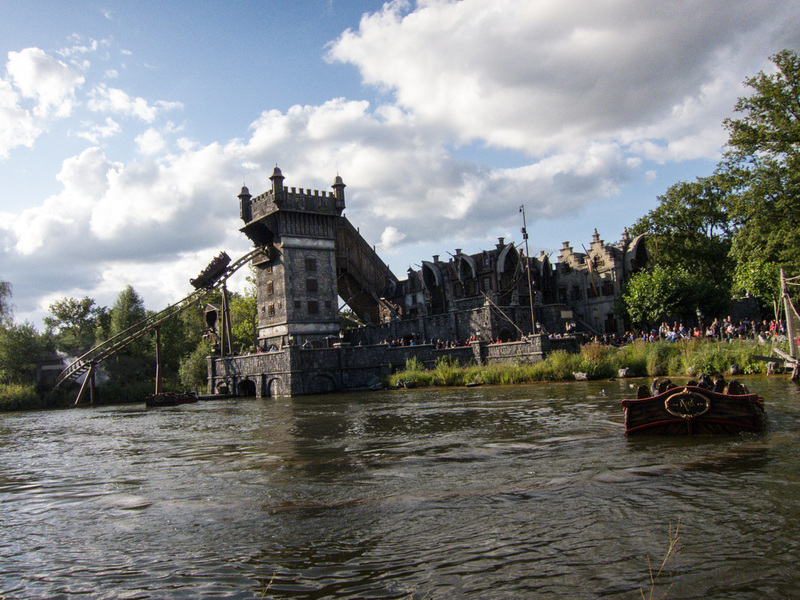 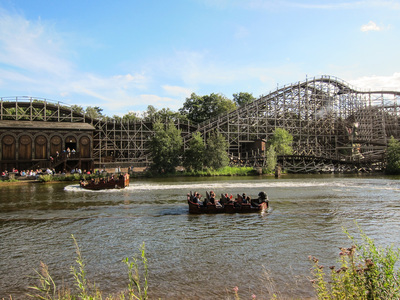 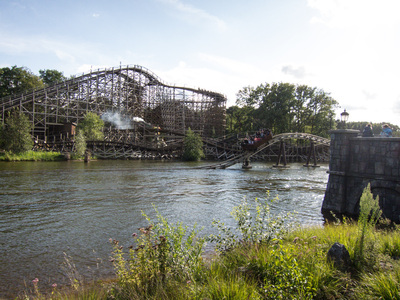 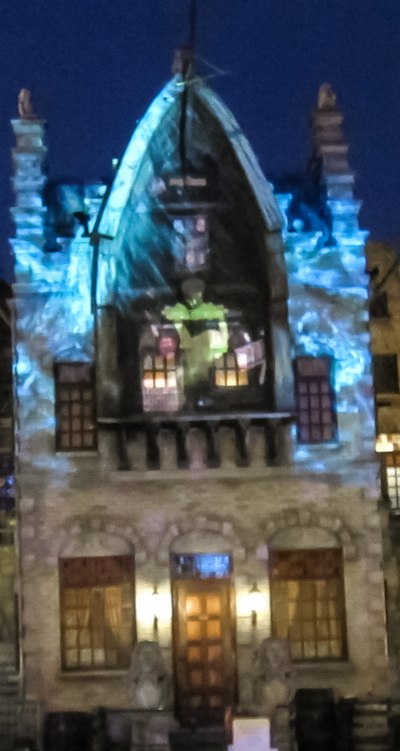 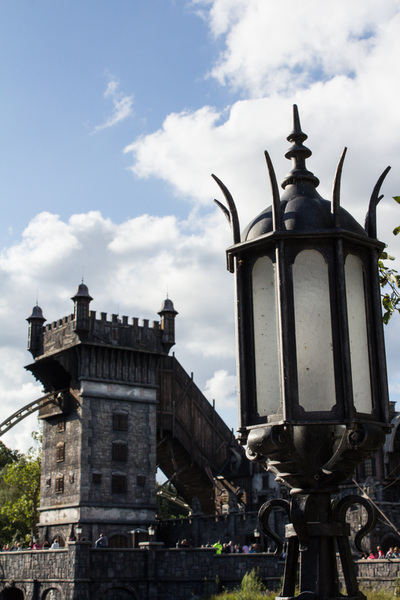 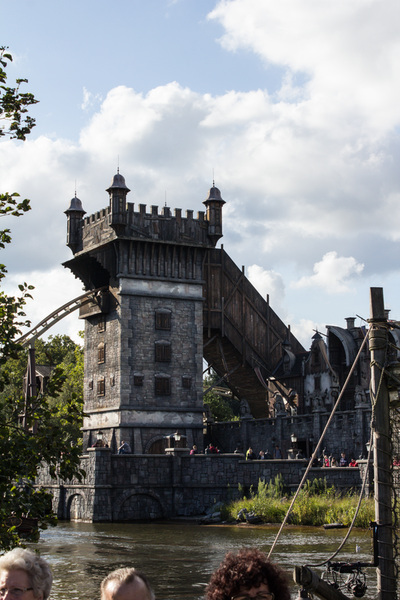 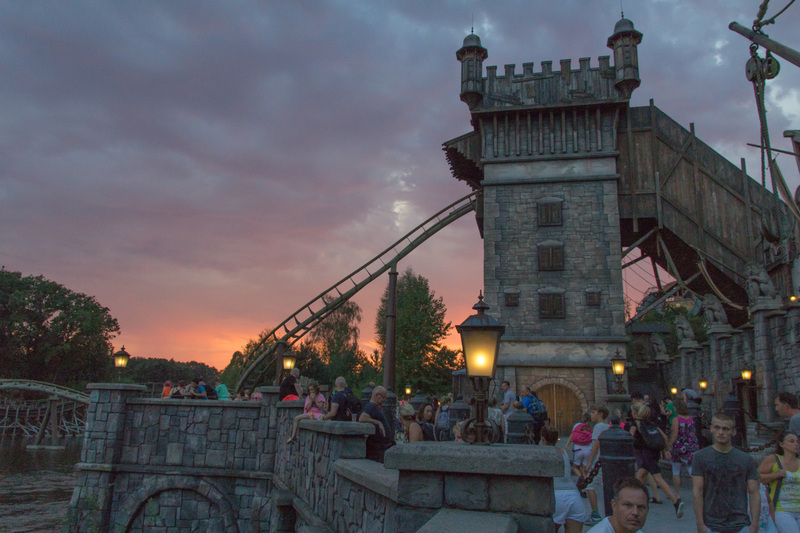 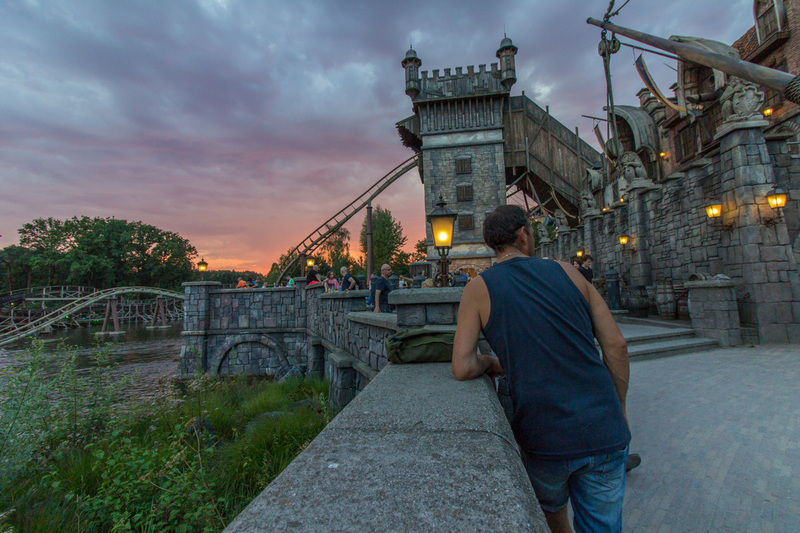 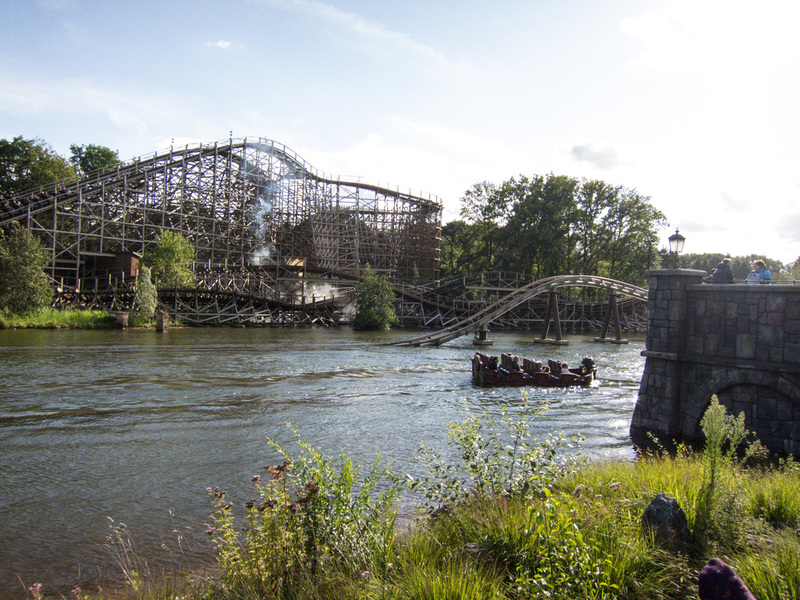 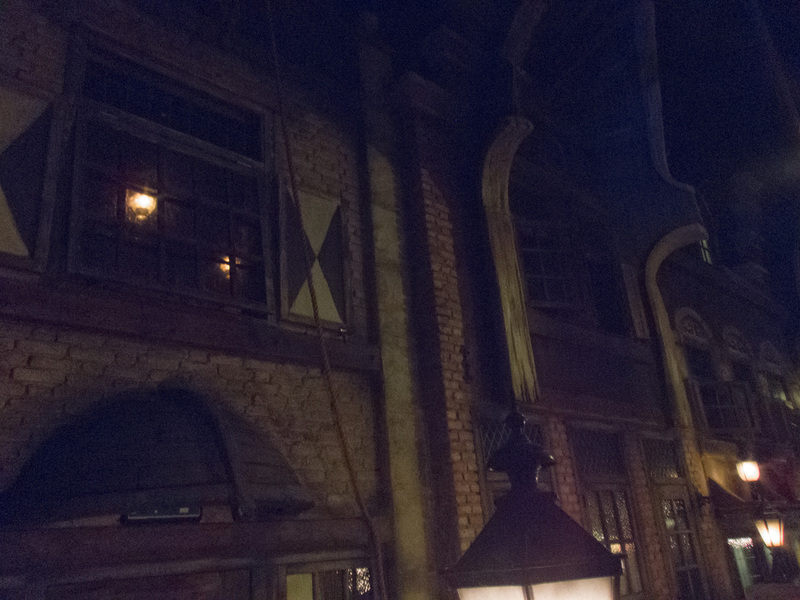 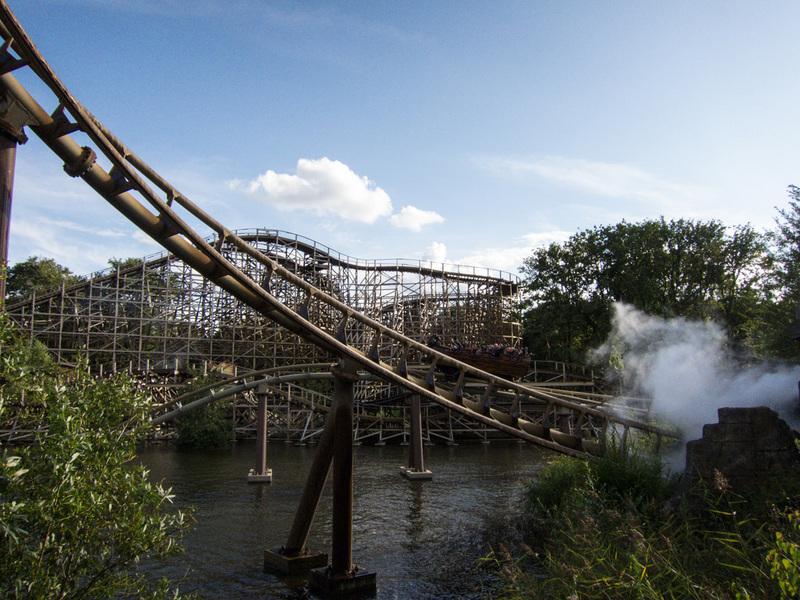 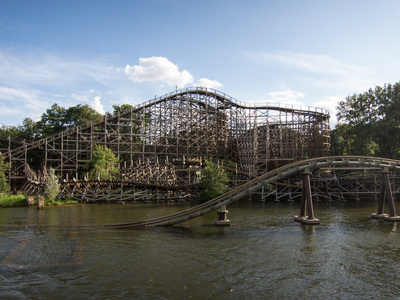 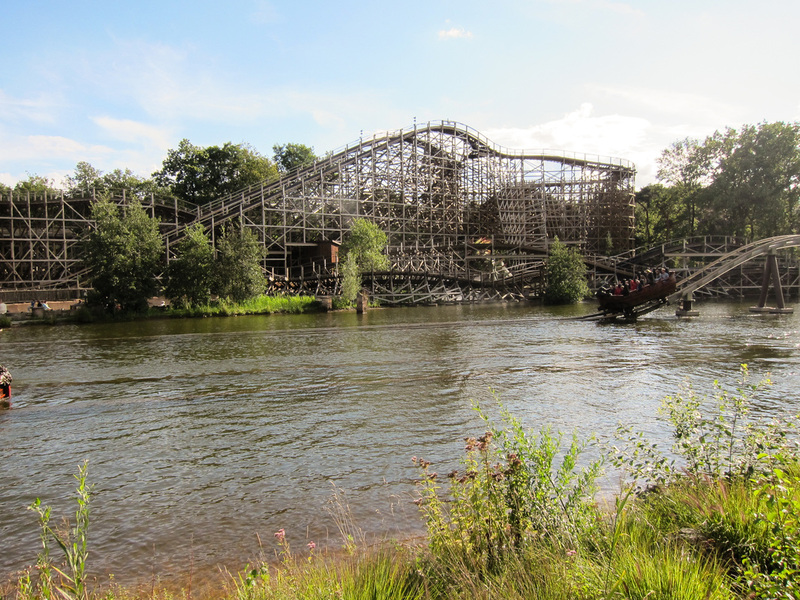 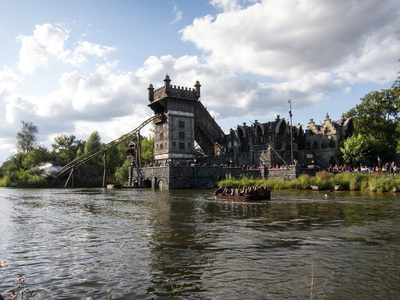 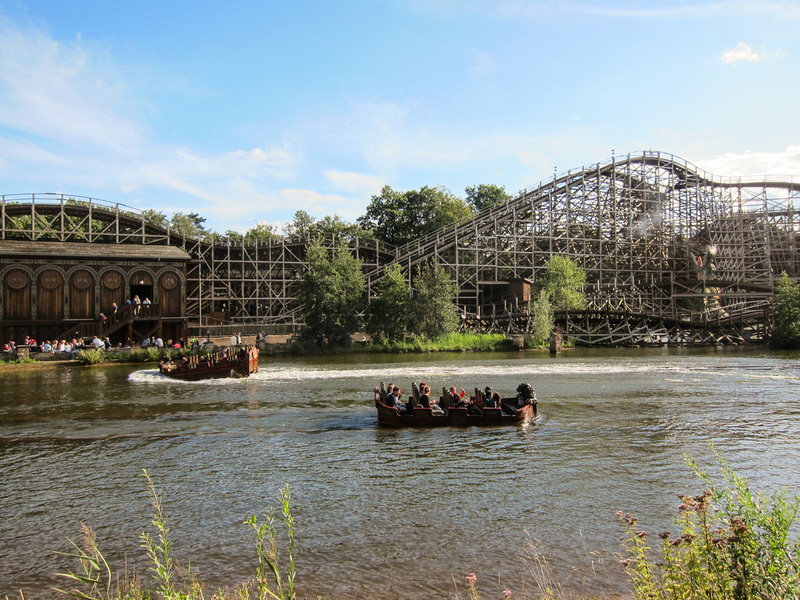 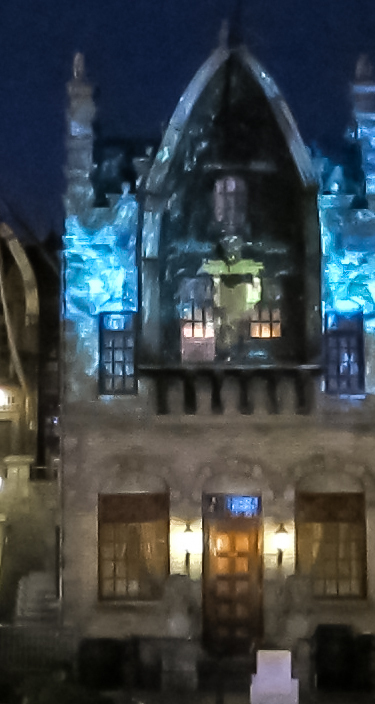 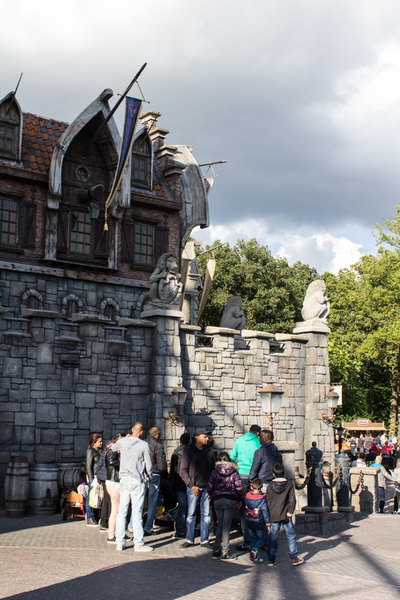 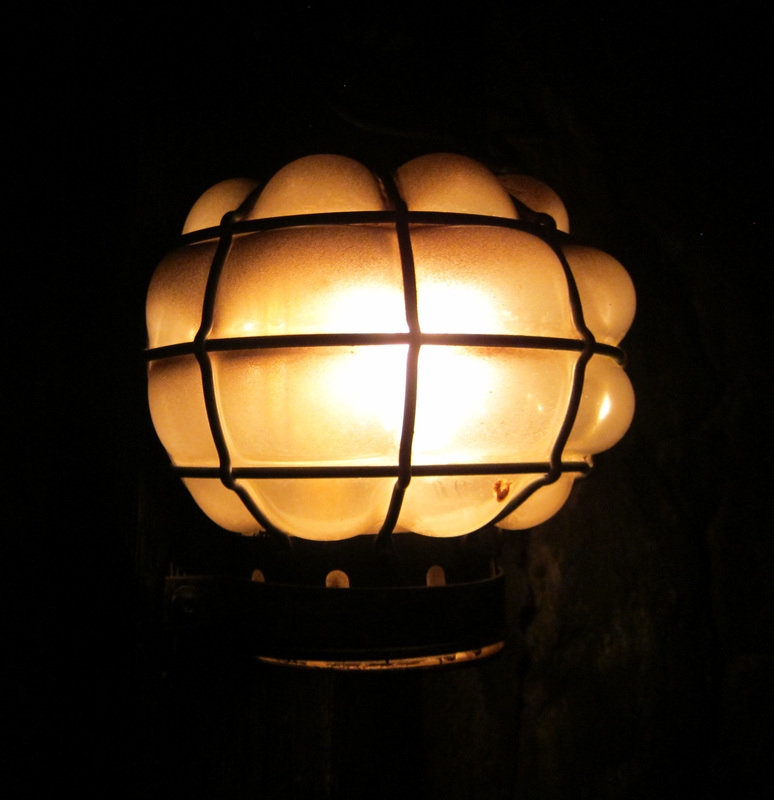 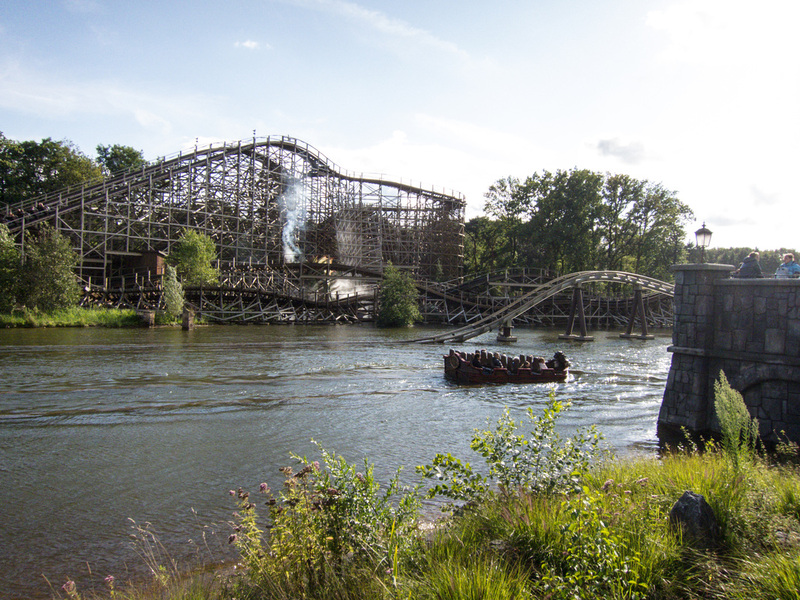 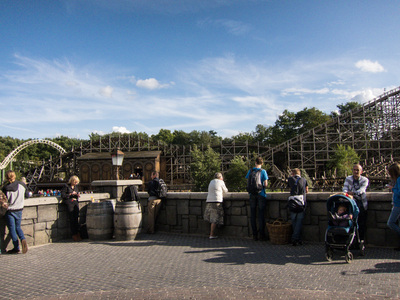 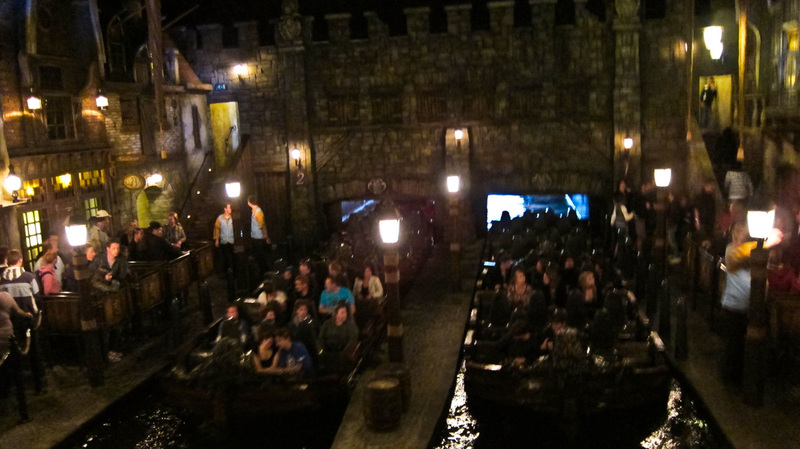 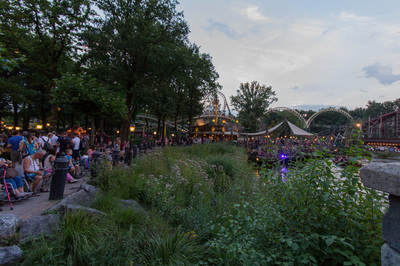 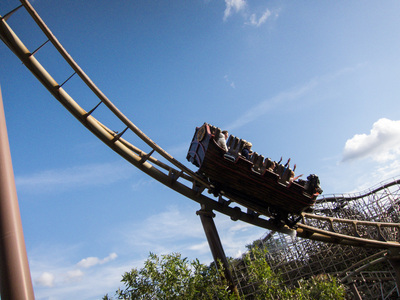 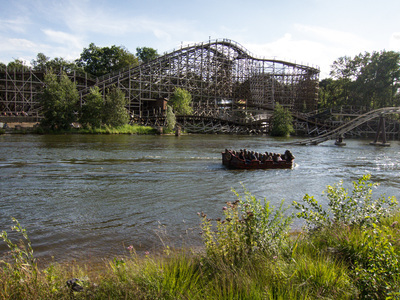 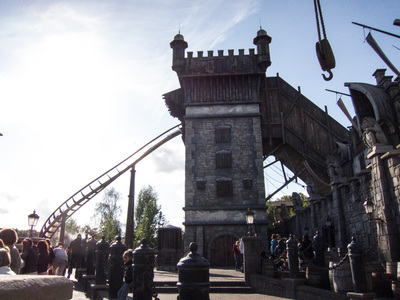 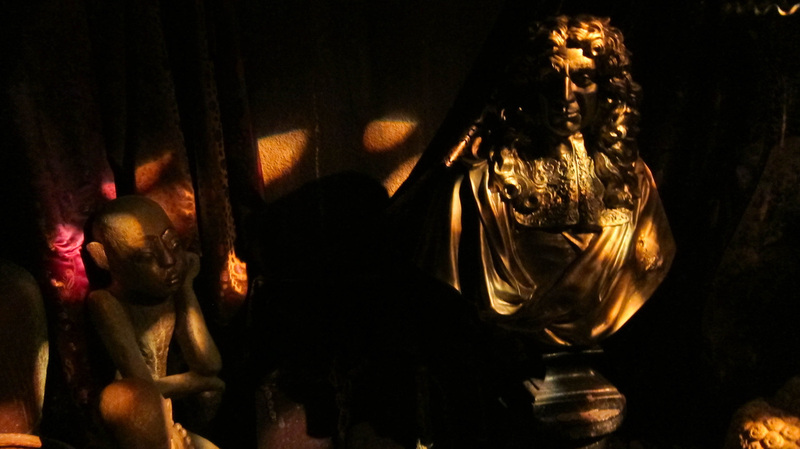 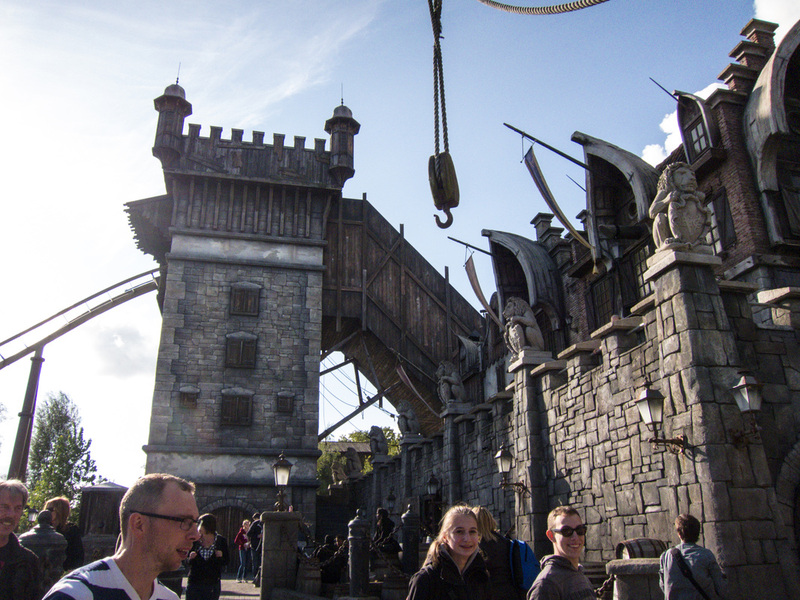 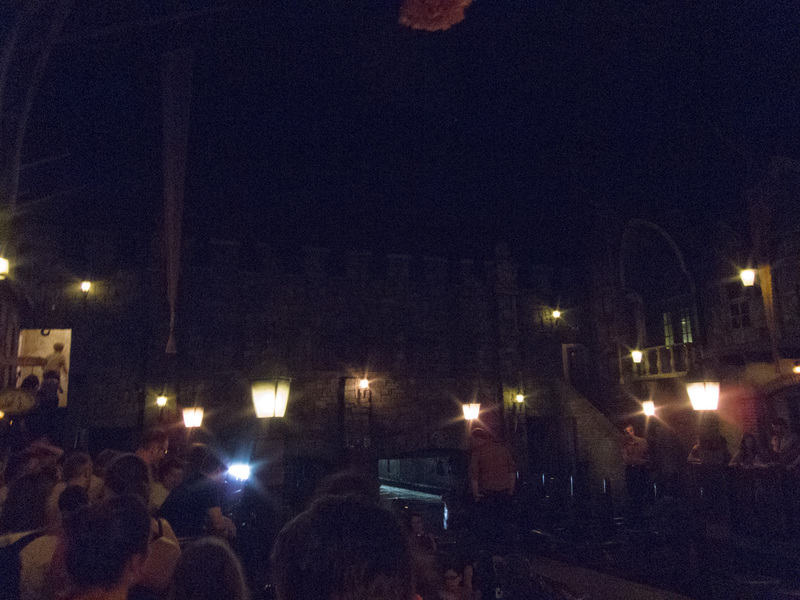 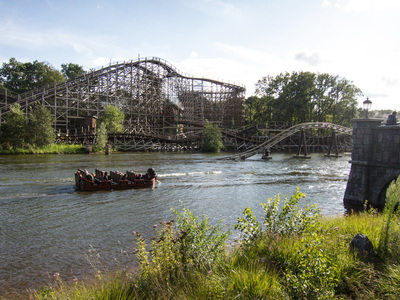 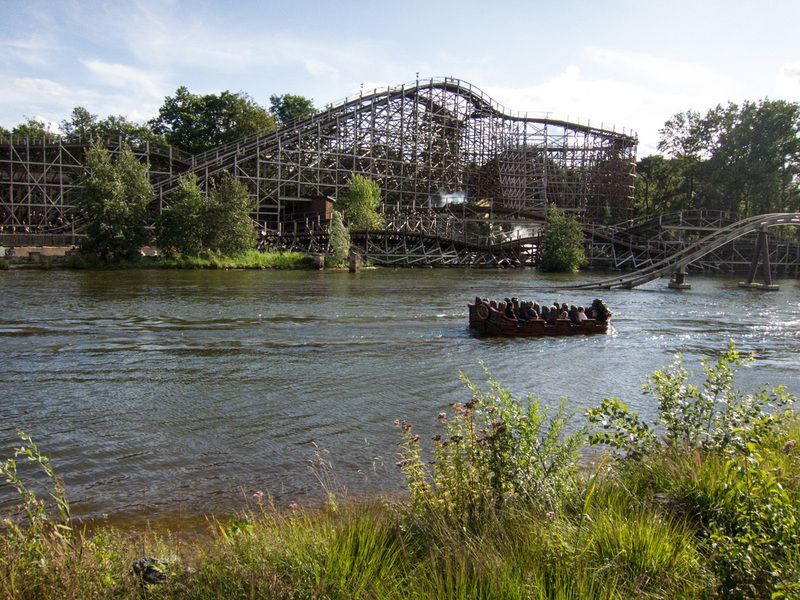 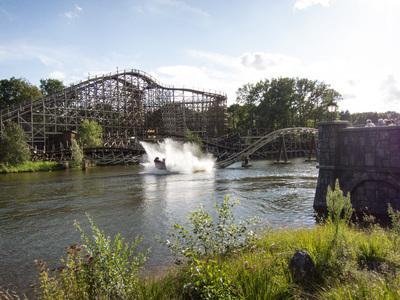 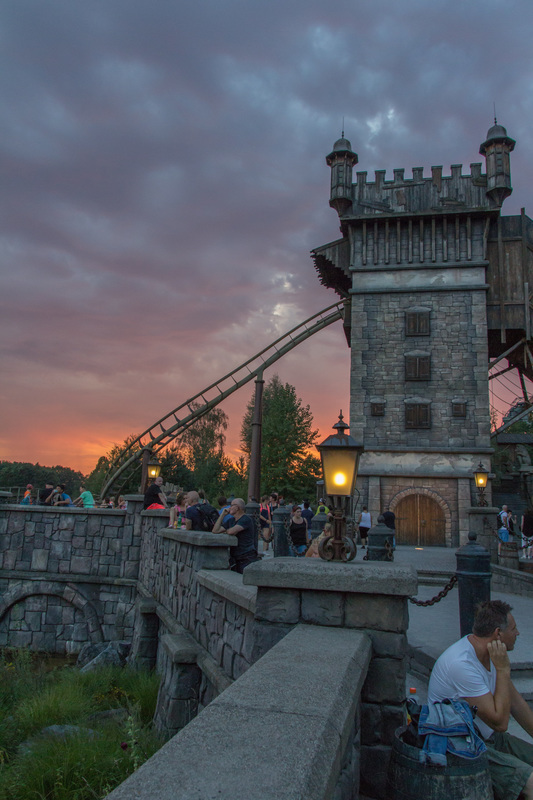 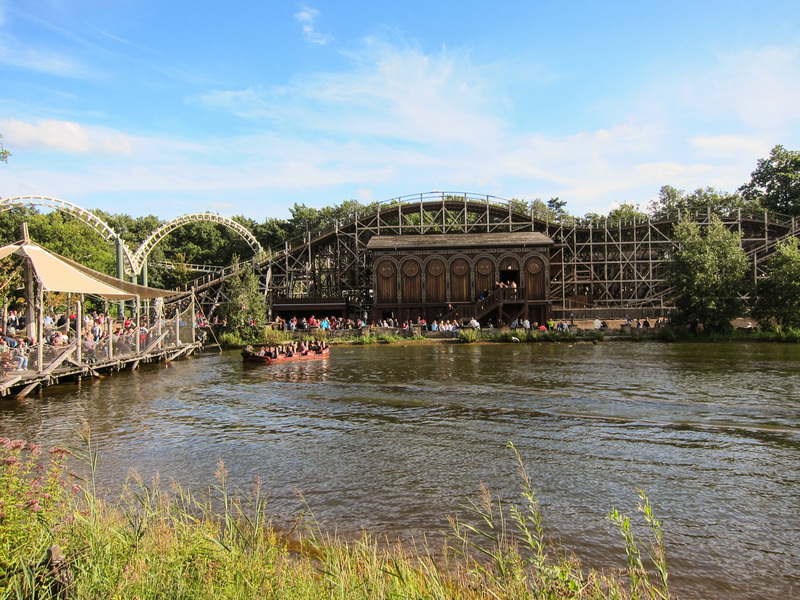 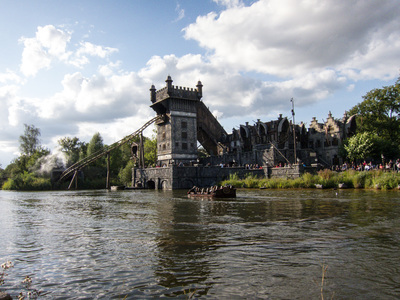 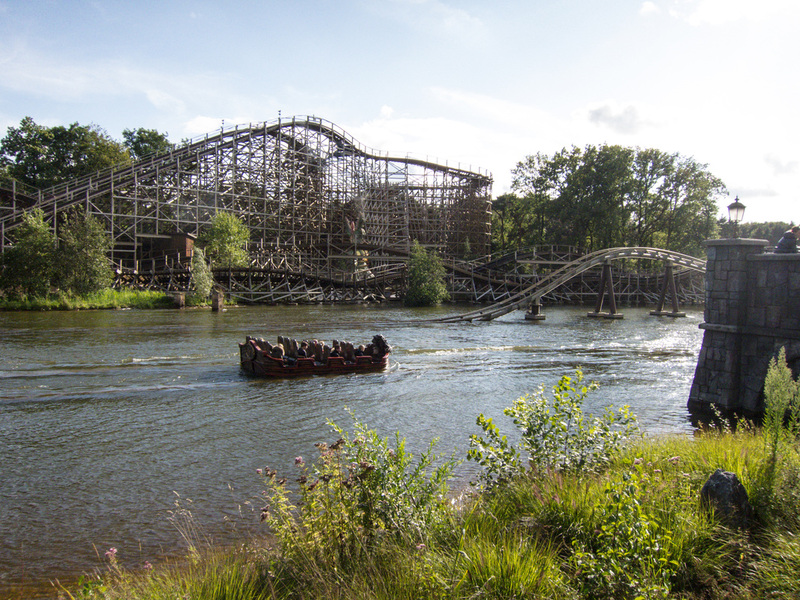 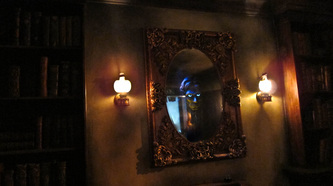 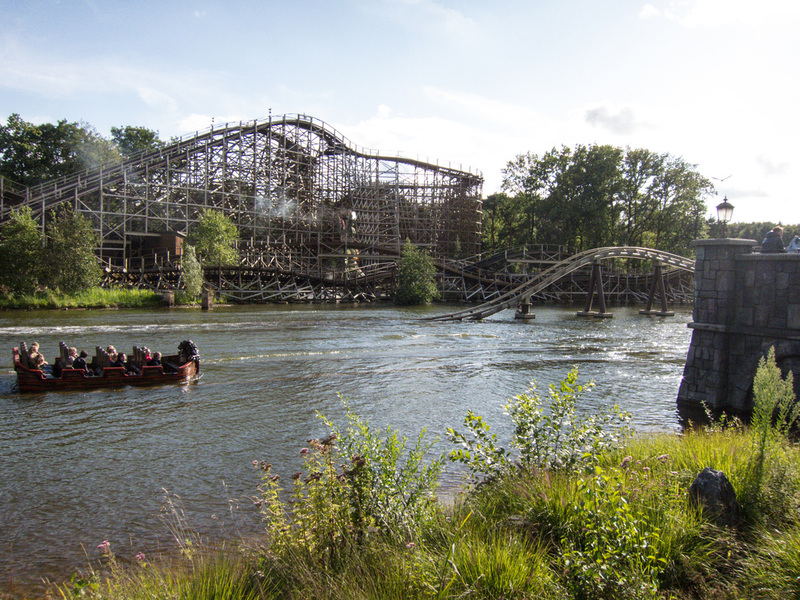 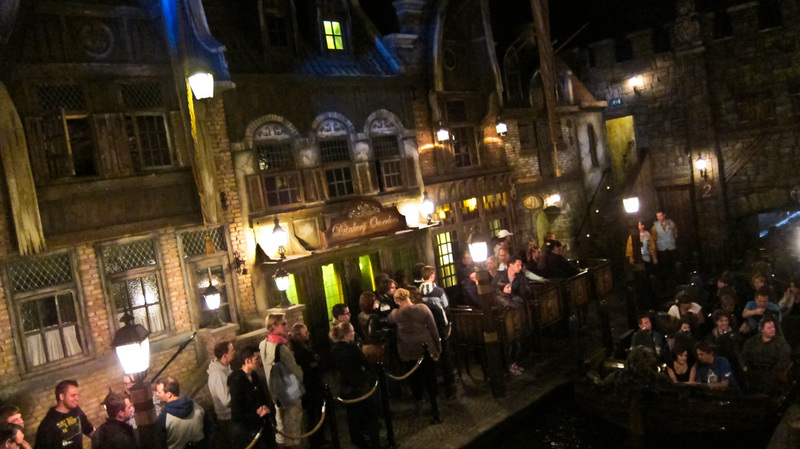 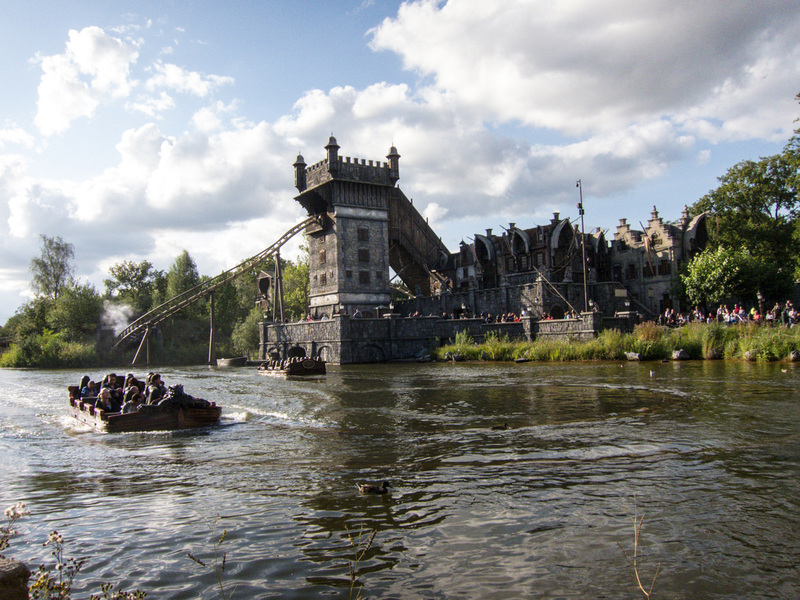 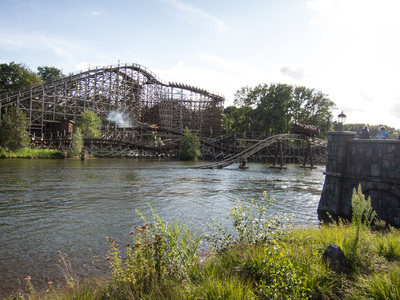 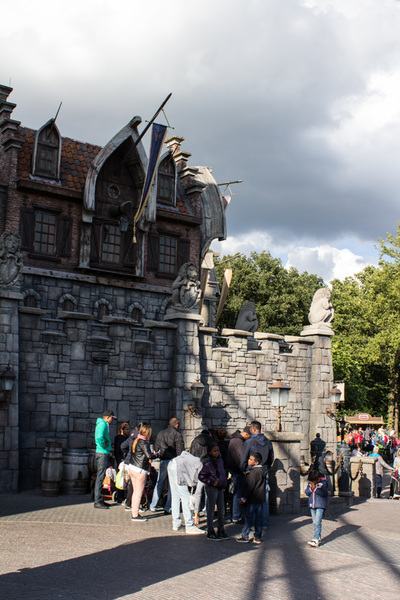 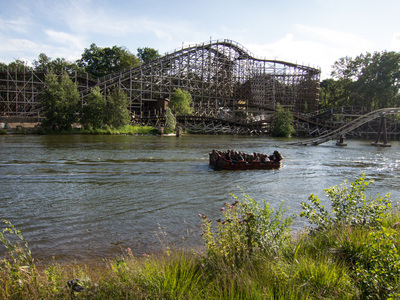 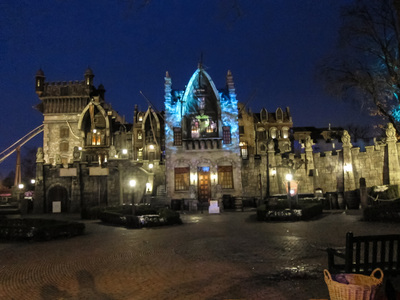 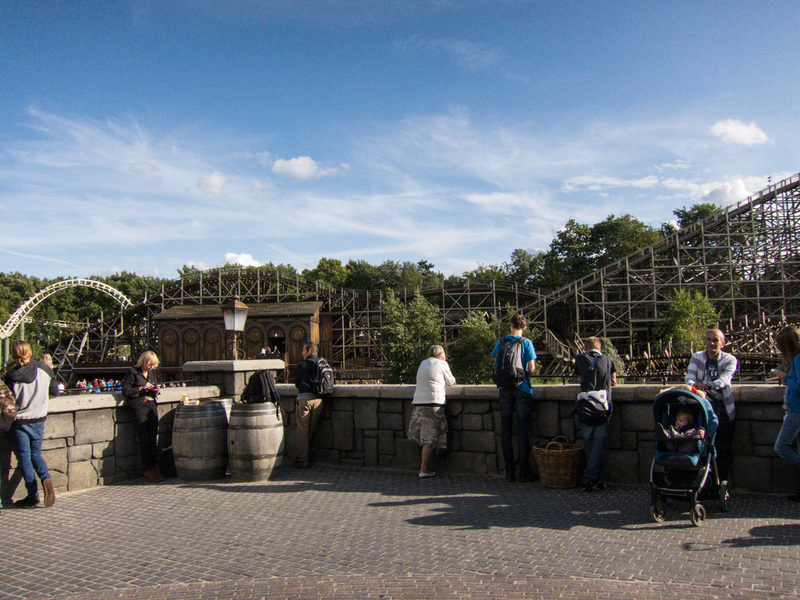 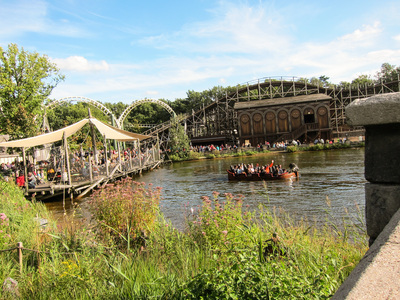 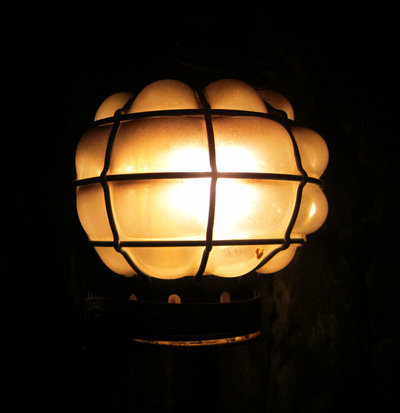 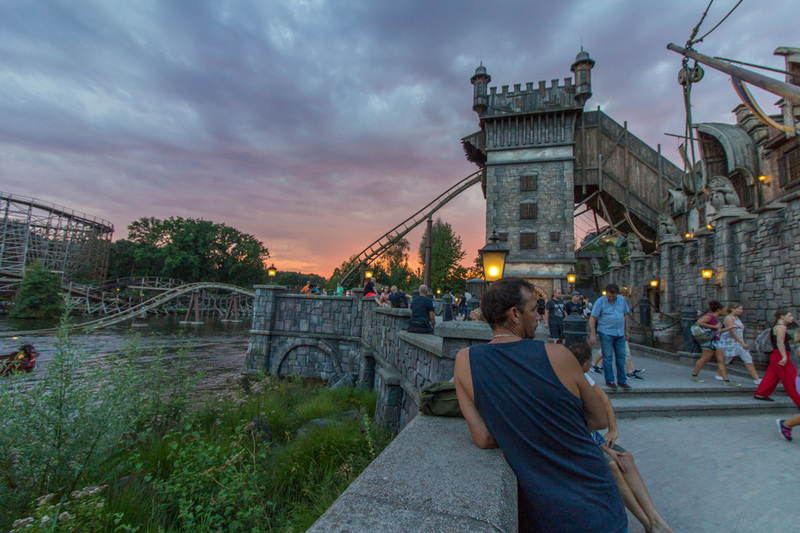 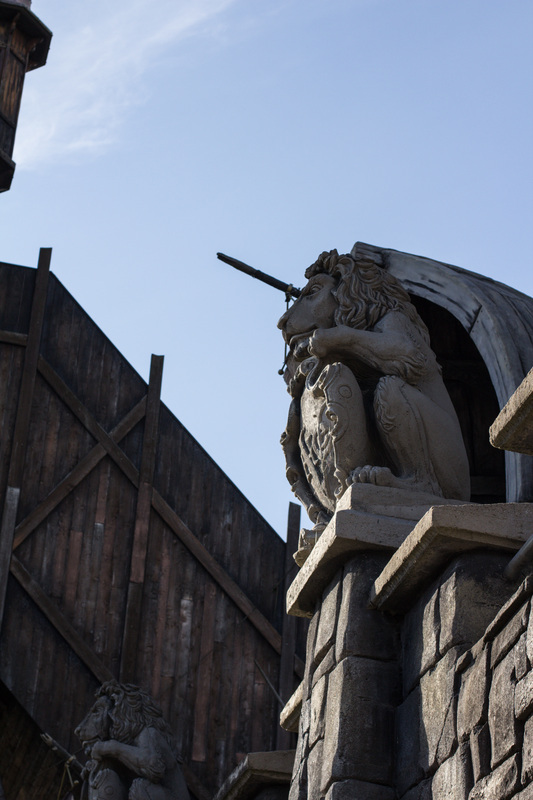 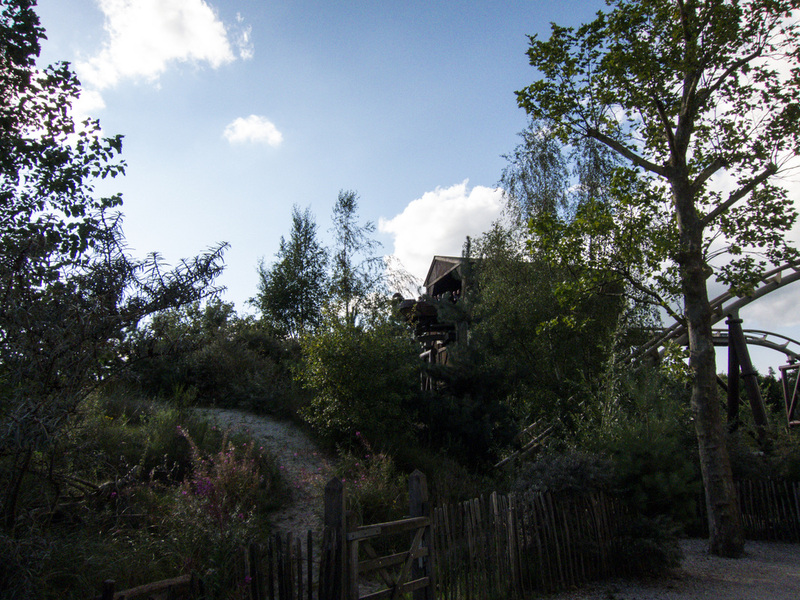 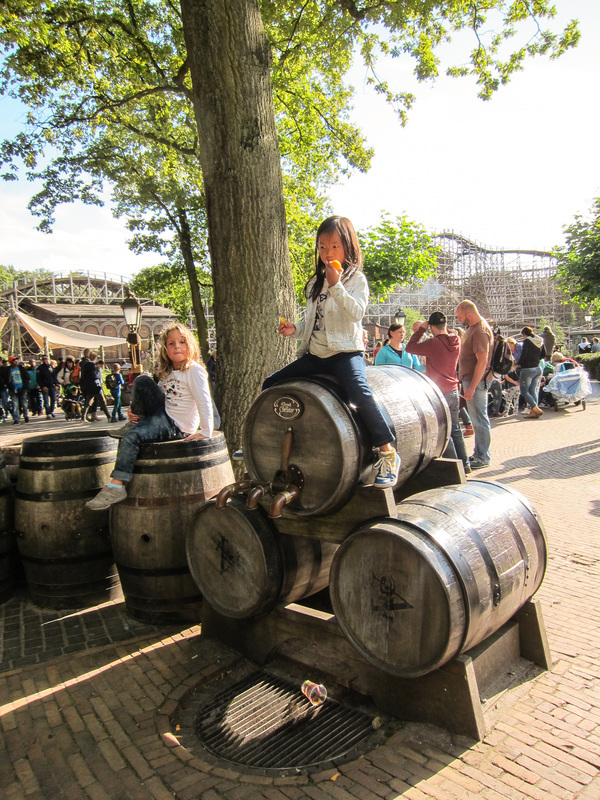 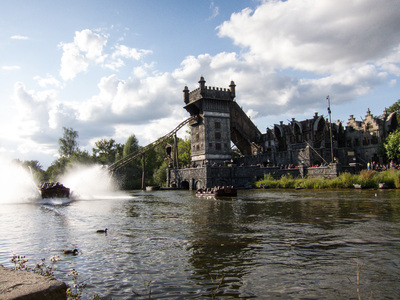 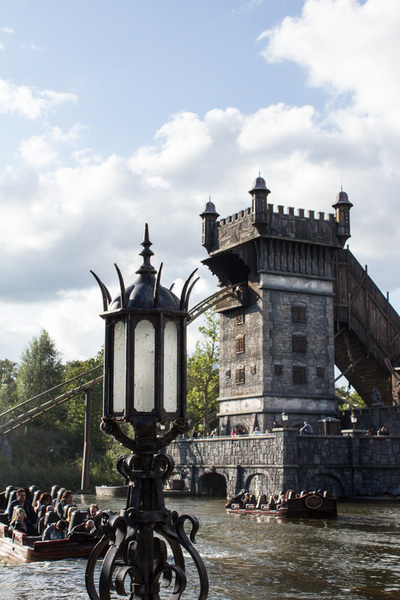 The Efteling has put its own spin on the famous legend of the wandering ghost ship. 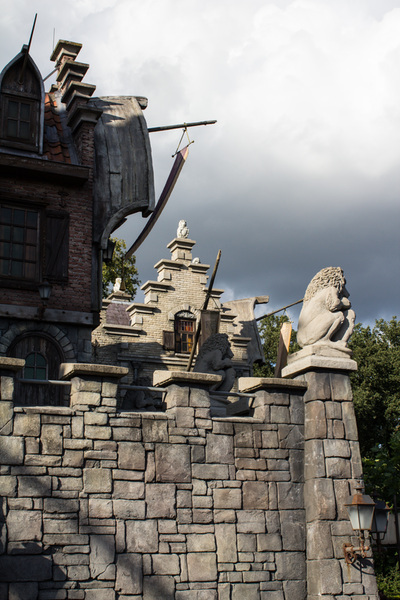 Most of the elements are kept but an extra storyline brings more tension and symbolism in the attraction.. below you will find the most complete and extensive version that the Efteling has brought out so far. 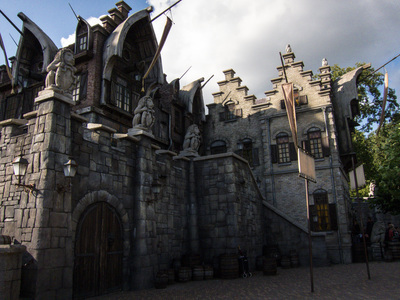 “Willem van der Decken is a successful captain of the United East Indian Company. On Java and the Maluku islands he succeeds in buying full loads od spices that make him a lot of money in the Netherlands. 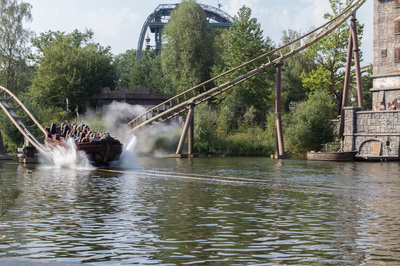 His ship “The Dutchman” is the fastest of the EITC. 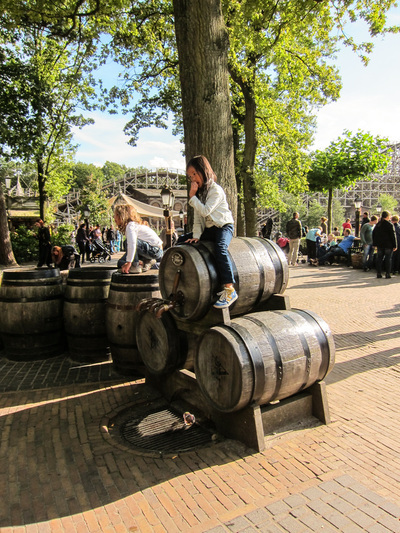 The shipments of mace, nutmeg and cinnamon are taken to the Netherlands in record time The Seventeen Gentlemen are very pleased and the captain is quickly promoted. 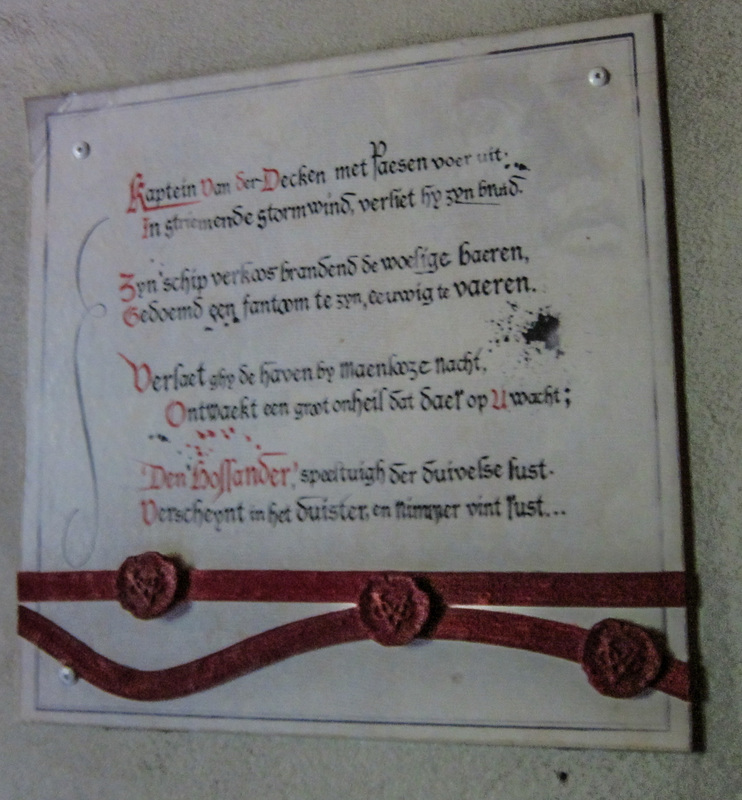 Van Decken lived with his wife Catherina in the most beautiful house on the city walls with views on the harbour. He enjoys his prosperity. Live is good in the Golden Century. 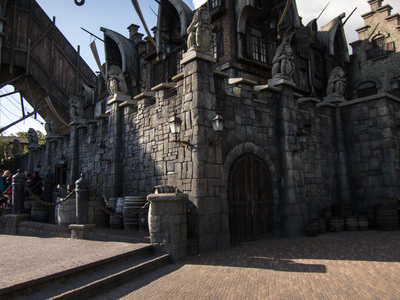 But looks can be deceiving; this success is tained by blood. 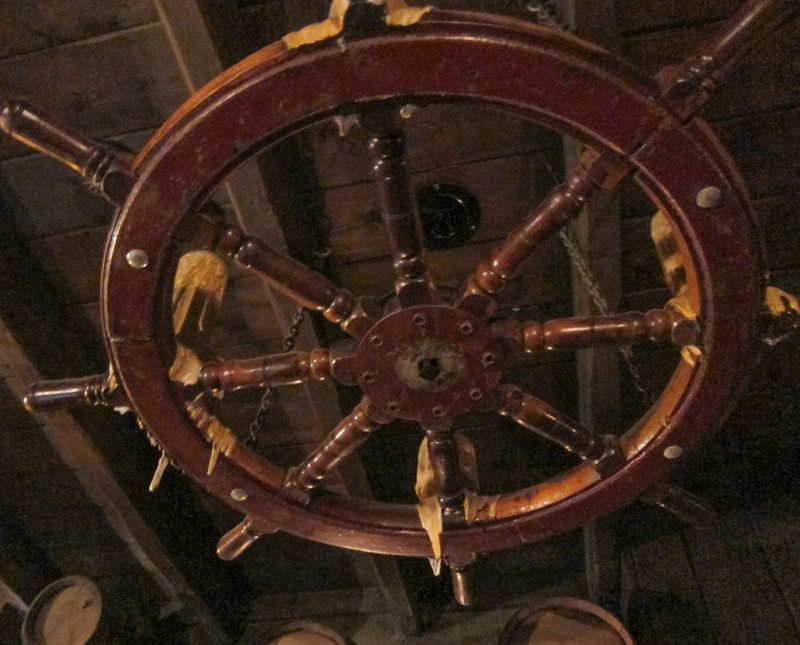 We write 1678 when Captain Willem Van Decken sails to the east with his crew, breaking all the rules. 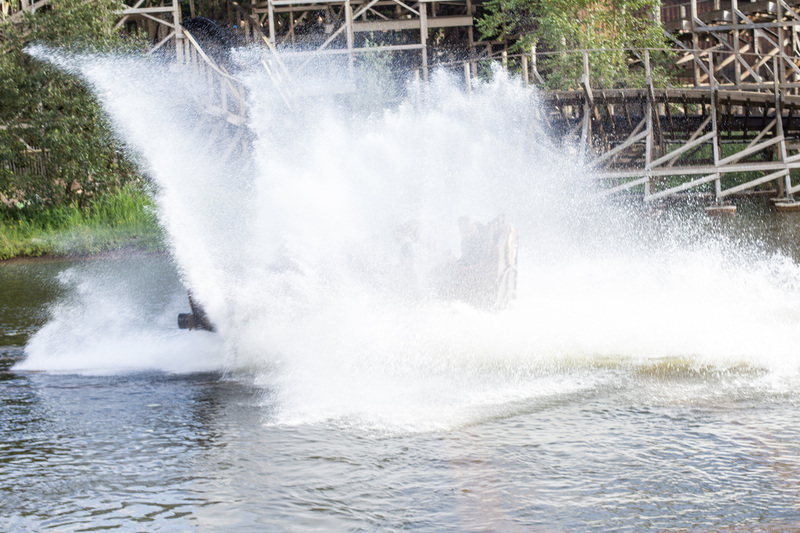 Even a raging storm can’t stop him. Even when his crew became desperate with fear. 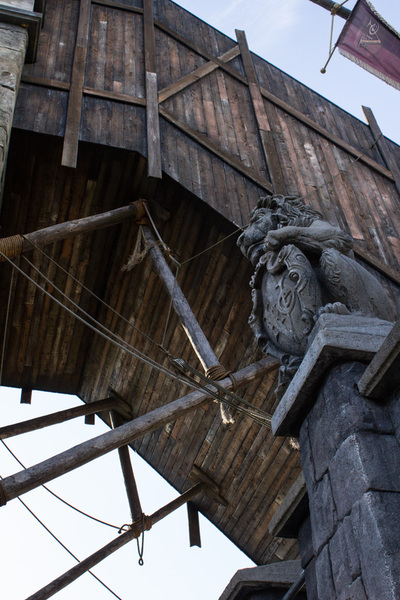 “ I will sail, Storm or no storm. 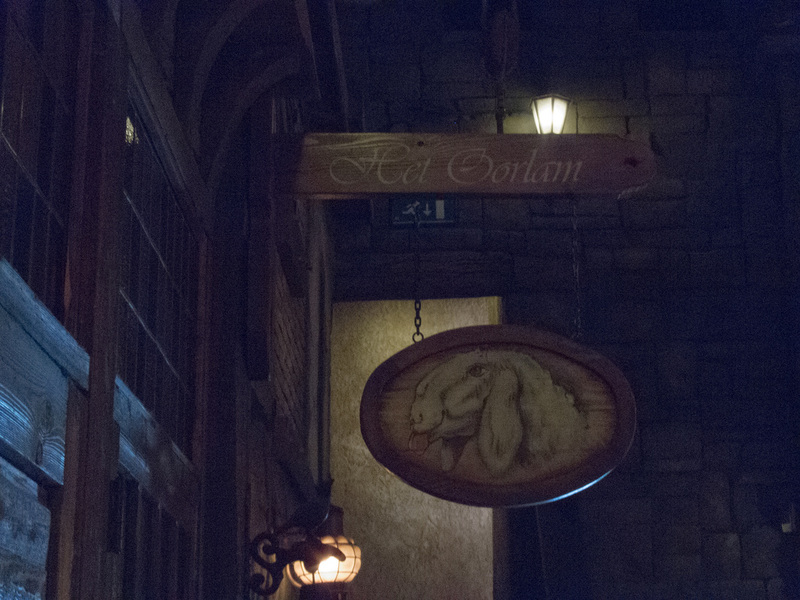 Easter or no Easter. I will sail, even if tis into eternity!” Willem Van Decken defied all the rules, the decency and the elements. And so signed his own fate… His ship turned into a mysterious fiery ghost ship that was doomed to sail the seven sees as “The Flying Dutchman”… Van Deckens house burned from the inside out and in the secret corridor a hellish fire raged on, exposing his dark double life. The ship disappeared and was never heard from again. 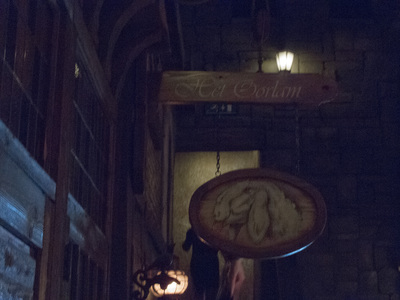 Or was it? 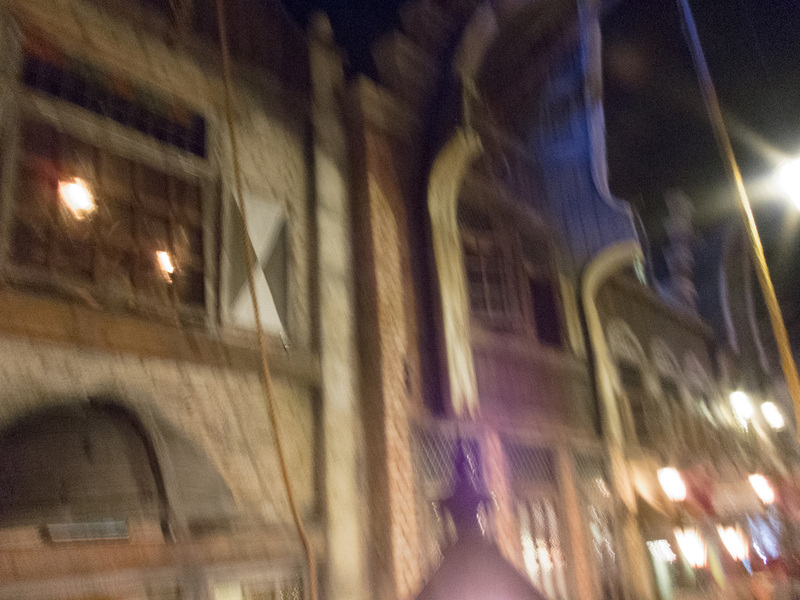 Years later still messages reached the homeland about a mysterious ghost ship that seems to float above the waves. 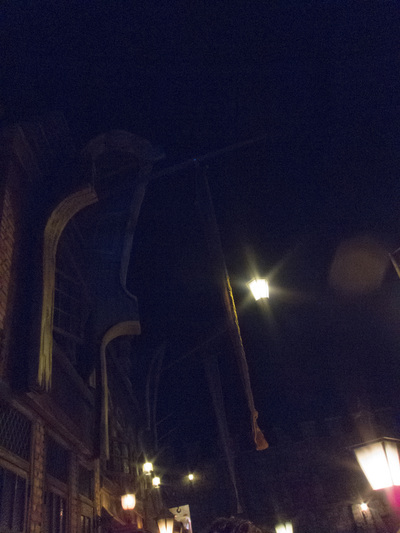 Will a blackened carcass and burning sails it is said it sails across the sea at incredible speeds… upwind! 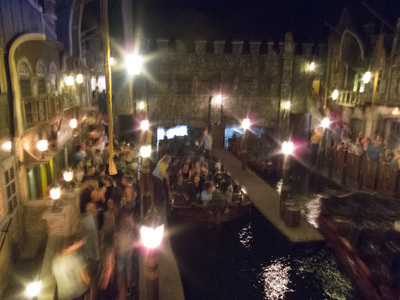 Sailors will do anything to prevent this experience. 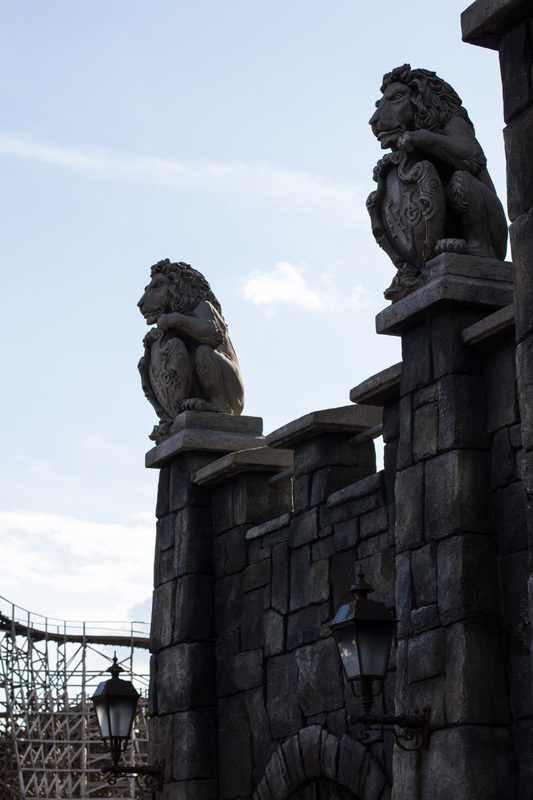 Because every contact with the shady character that stands unmoving atop the rail, is sure to bring bad luck, death and destruction!. 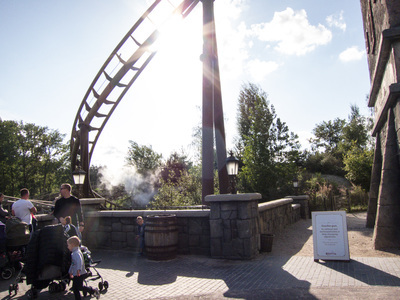 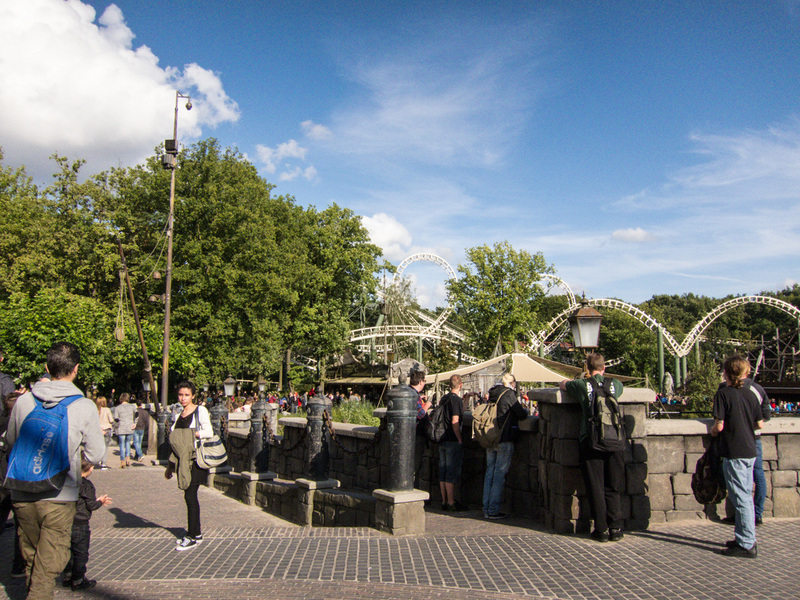 Wheelchair users can access via a dedicated path, to the right of the attraction entrance. 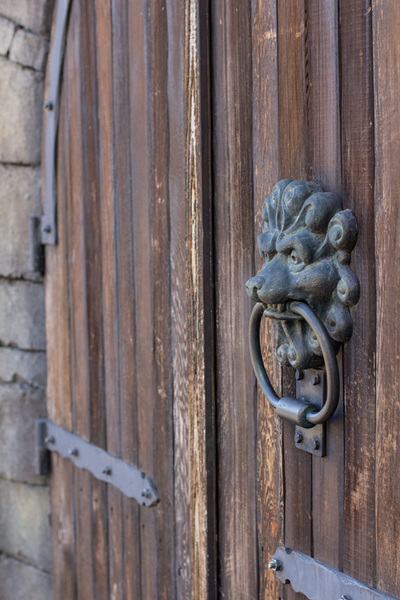 Please ring the doorbell. You can buy the Making Of The Flying Dutchman DVD at the Efteling Souvenir Shop!